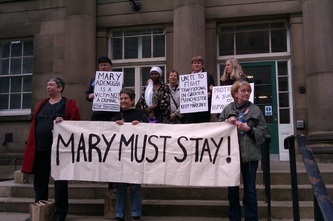 Show your support for Mary's campaign and sign the petition here. 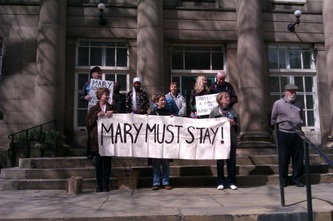 Please write letters of support for Mary! My name is Aminet Mary Adenugba and I am a victim of human trafficking. 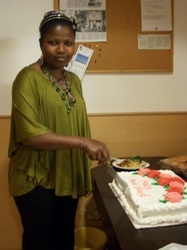 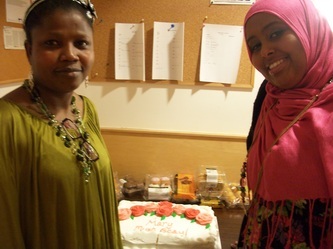 I was born into a Muslim family on November 20th 1970. 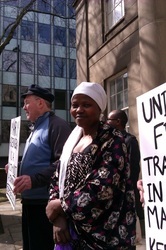 My dad was a bus driver and my mum was a street trader. I had two brothers and two sisters and I was the oldest. 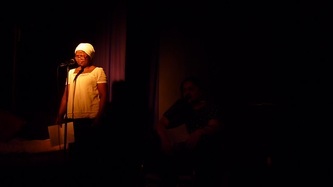 We lived in Lagos. 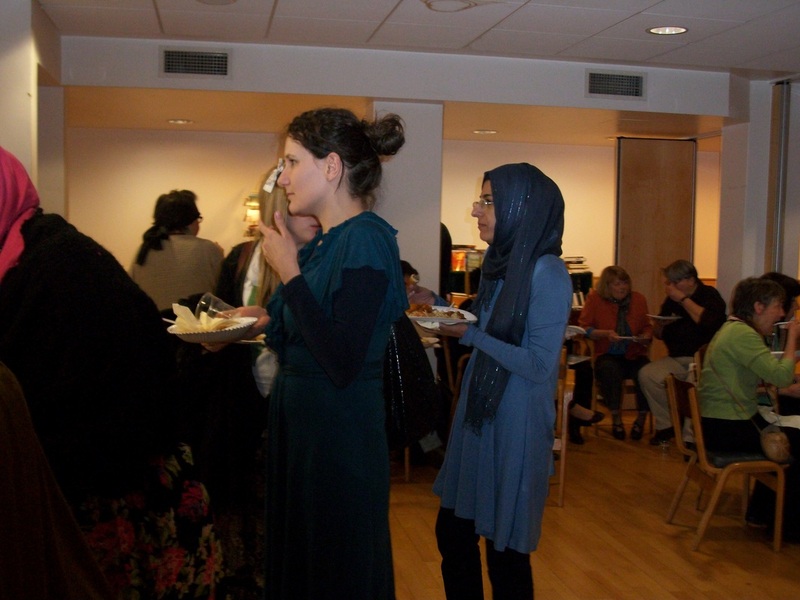 I went to the local school where there were both Muslims and Christians. 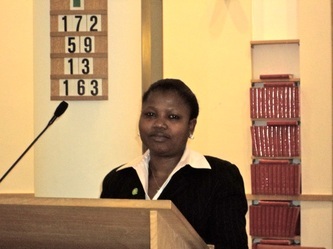 All my friends were Christians and in my teens I decided to convert to Christianity. 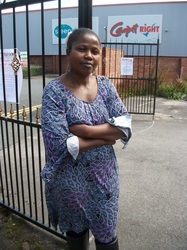 My dad, who had always been hostile to me from birth, was very angry but my mum protected me and tried to keep me safe. 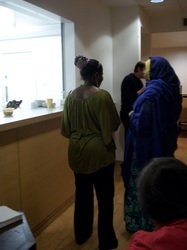 He and my brothers started to threaten me and I was forced to leave. 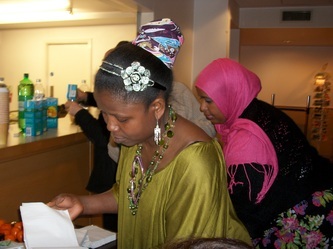 I went to live in a small flat and worked as a hairdresser. 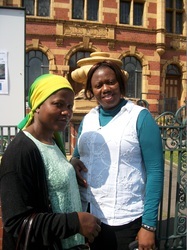 Then I met a man and found that I was pregnant. My father was furious; he said that I had brought shame on the family, but again my mother helped me. 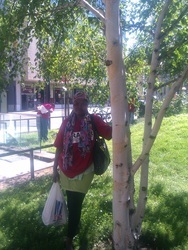 I gave birth to my baby daughter on June 22nd 1998. One day, when my daughter was about three and half years old, I went to a wedding while my mother looked after her. 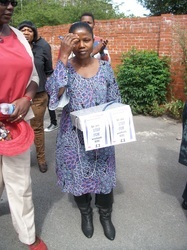 While I was at the wedding, there was an explosion in Lagos in which my mum and sisters were killed. 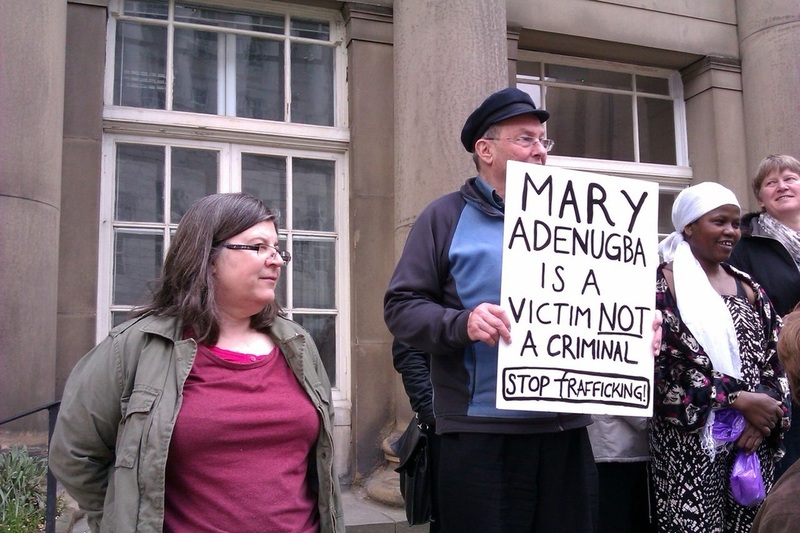 My little girl was never found. 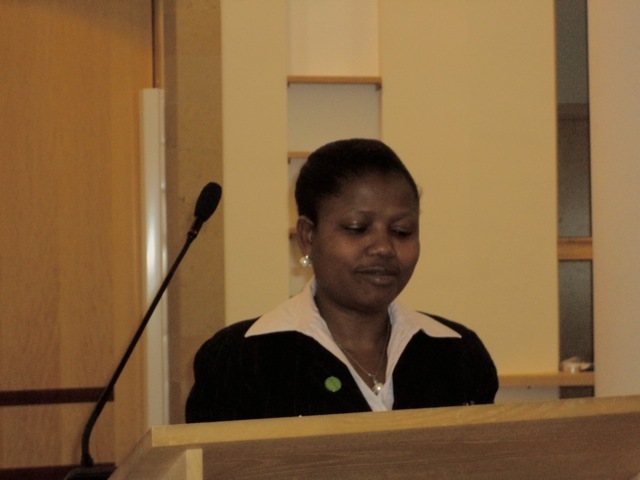 My father accused me of witchcraft and said I had brought this misfortune on the family. 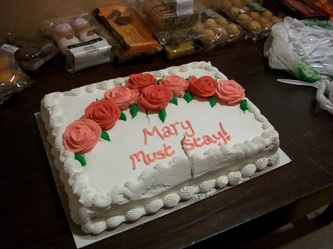 He said that I must die. 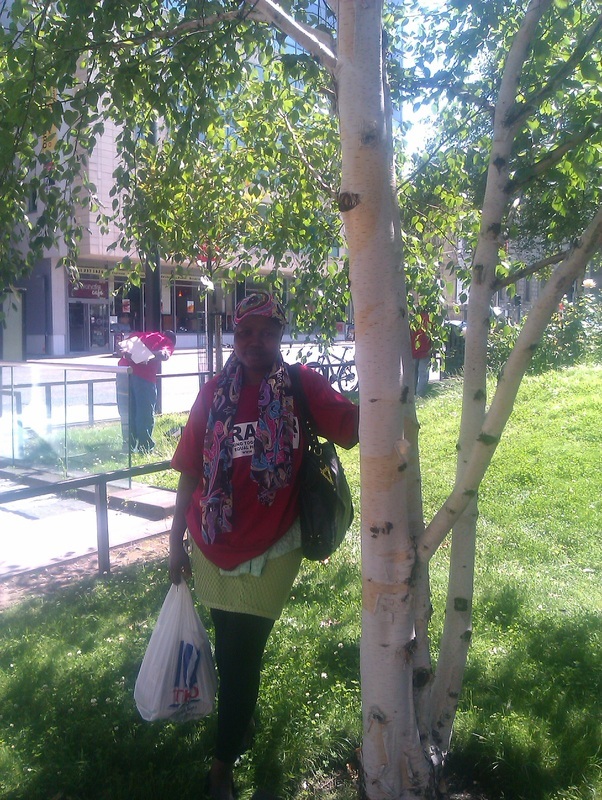 I had to go into hiding. 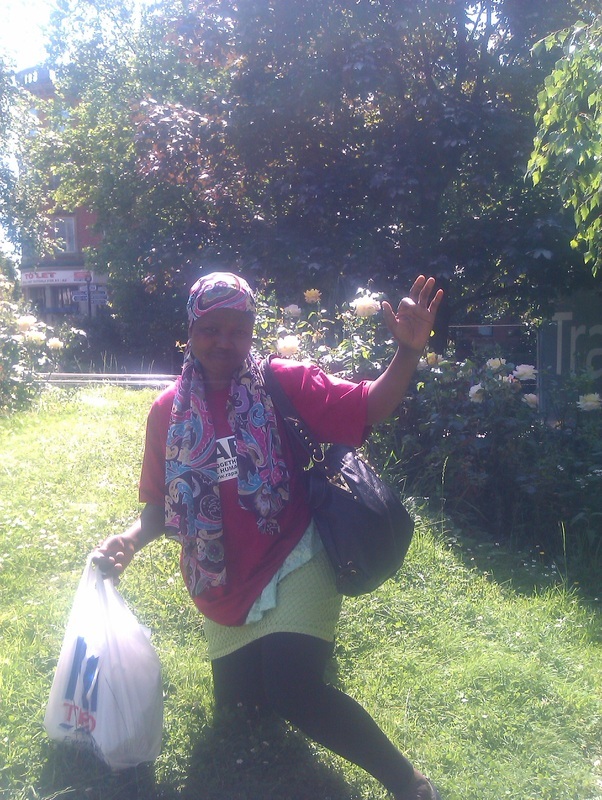 A local church tried to help me but I was in a bad way: destitute, homeless, no job or money and my beloved mother dead and little girl gone. 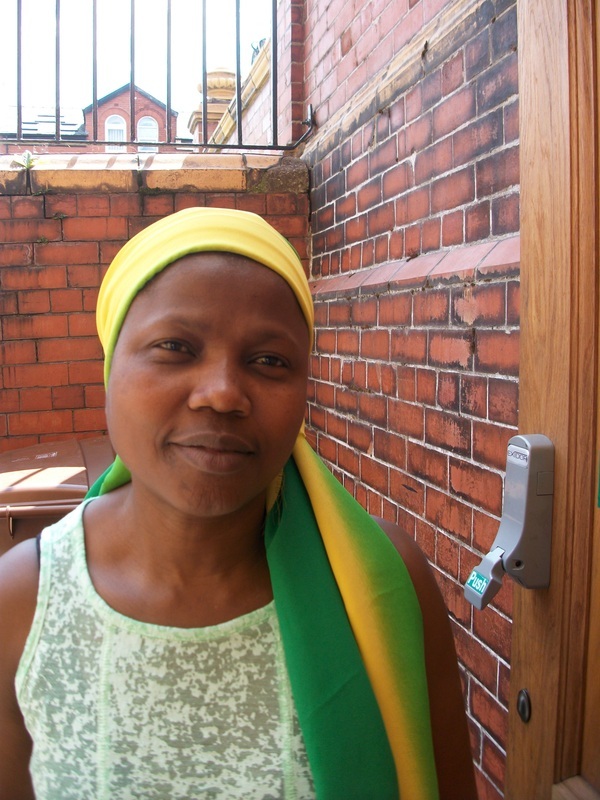 I tried to commit suicide. When I came out of hospital, the pastor introduced me to a local black man, Uncle Kay. He was a respected member of the church. He said he would help to take me somewhere I would be safe. He gave me a new name and date of birth, and brought me to the UK. 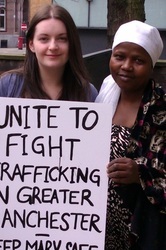 In London I was forced to work as a prostitute. 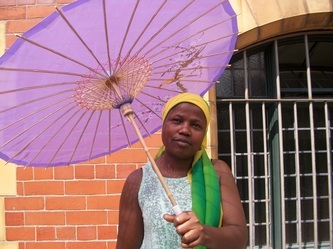 If there were no men to be serviced, I was made to work in a hair salon. 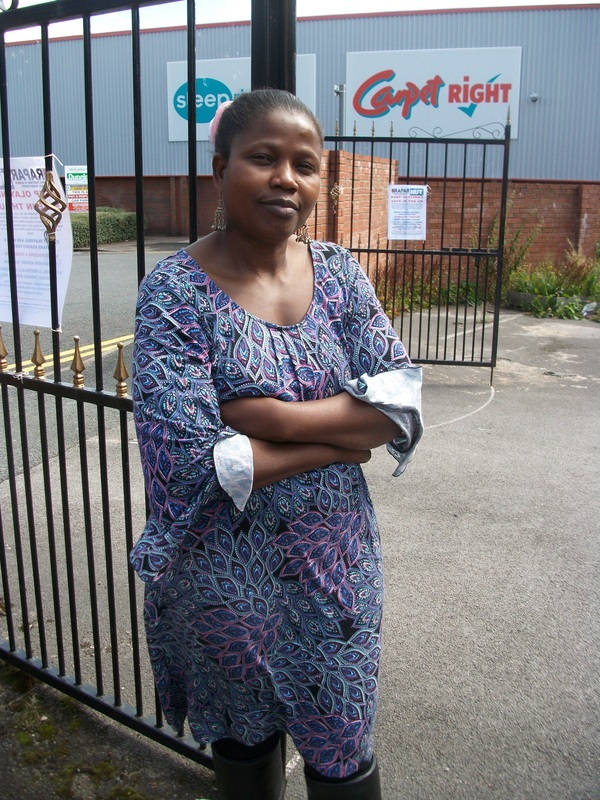 I kept escaping but kept getting caught again. 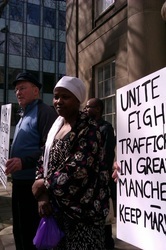 Uncle Kay shouted and starved me. 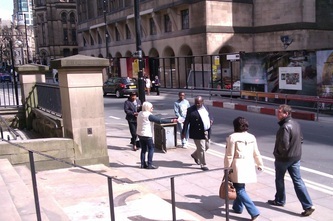 Then he brought me to Manchester and gave me to Uncle Philip, a white English man. 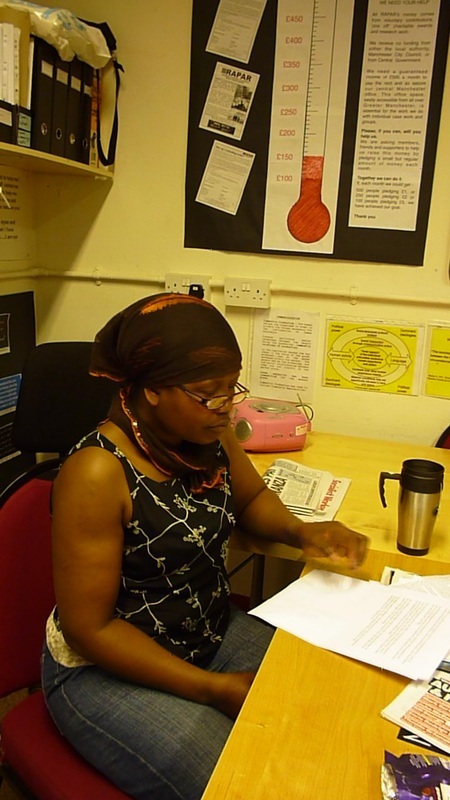 Once again I was imprisoned and forced to work as a prostitute or used to clean offices or houses or work as a hairdresser. 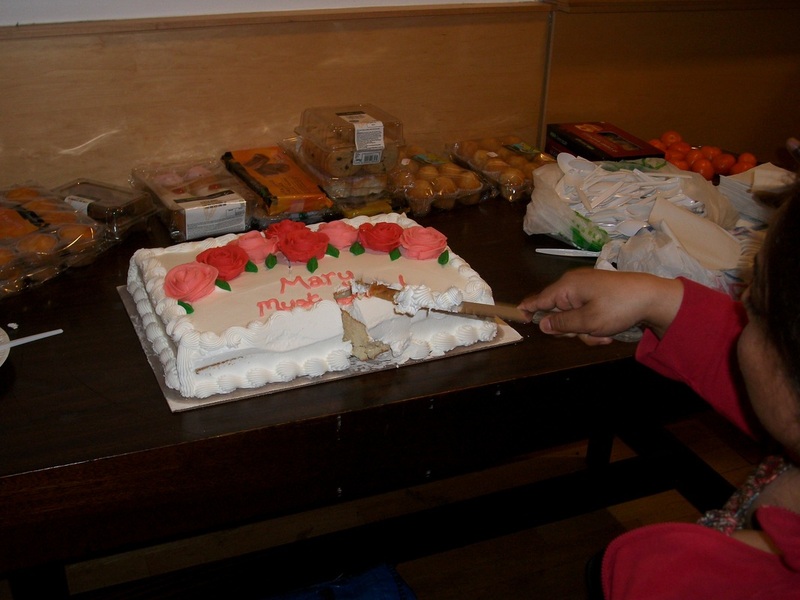 I was a slave. 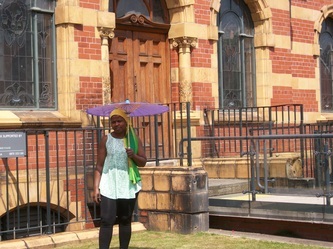 Late one night, when we were out, Uncle Philip and I were approached by the police and I was taken to the police station. 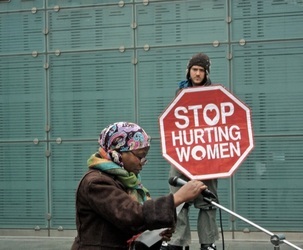 I was very scared and confused and harmed myself. 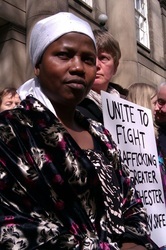 I was too frightened to tell them about the trafficking. 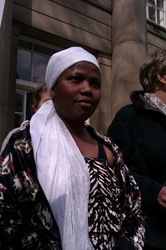 The police released me after telling me to claim asylum at Dallas Court, but I didn’t understand what that meant. 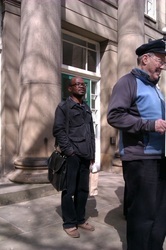 I was frightened that Uncle Philip would find me. 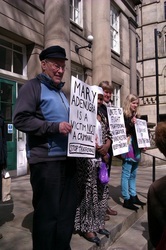 After leaving the police station, I met some people who took me in but they started exploiting me. 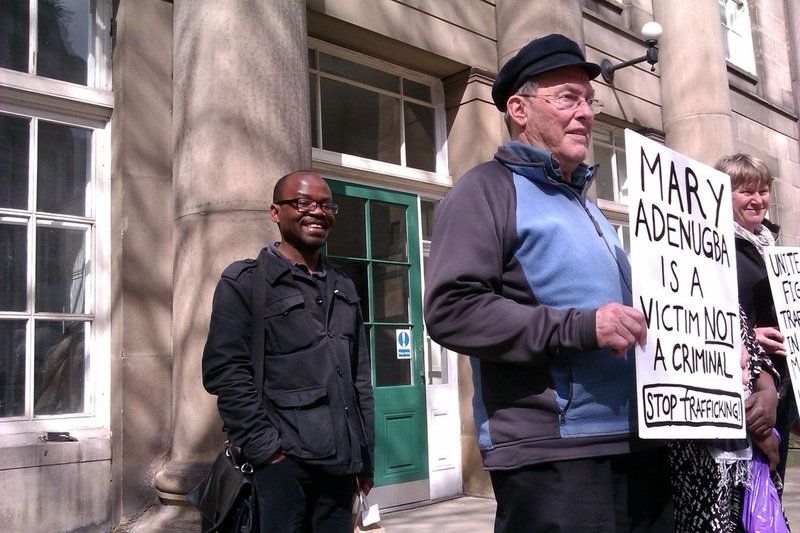 This happened several times because I was destitute and very vulnerable. It went on for three years. 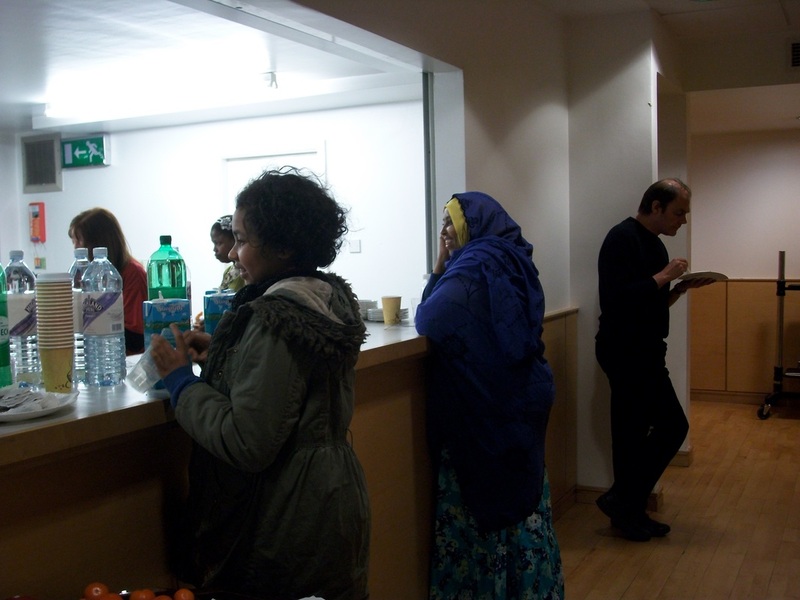 Then I met some people at RAPAR who helped me to help myself. 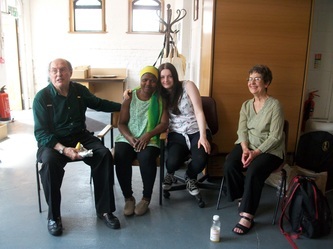 They found me a safe place to live, put me in touch with the Poppy Project and assisted me in writing my story. 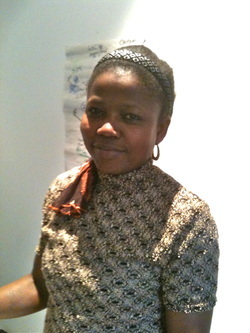 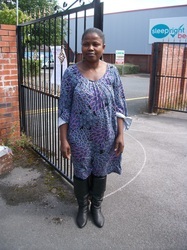 Mary is still in the process of trying to ensure her own safety by securing asylum in the UK, where her friends are and where she has the support network and medical care that she needs, and by avoiding deportation back to Nigeria - where she would not have these things and where, as somebody who is still very vulnerable, she is likely to be targeted by traffickers again. 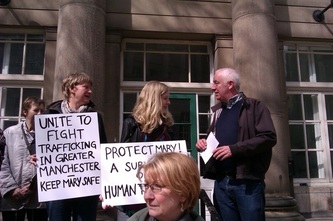 Mary specifically needs these letters so that they can be submitted as supporting evidence towards her claim for asylum. 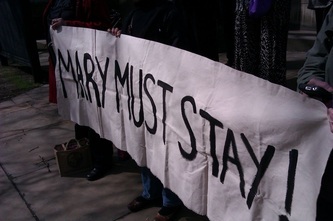 Letters can be as long or short as you wish; just a clear statement of why you support Mary's right to refuge in the UK. 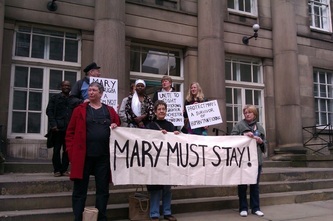 If you know or have met Mary then say so in the letter. 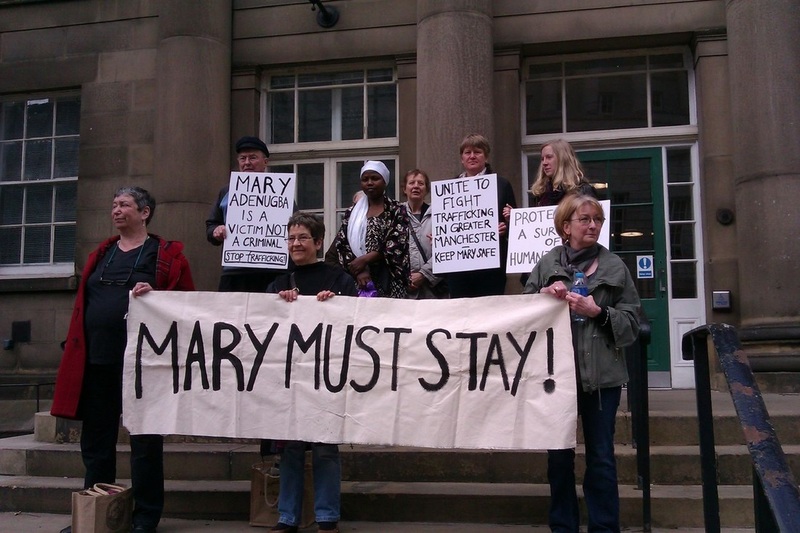 Also, please include Mary's Home Office reference number A1354068/2 in the letter. Personal and unique letters would be the most powerful for Mary's case, but an example is available showing key points of Mary's case if desired - click here for Word doc. 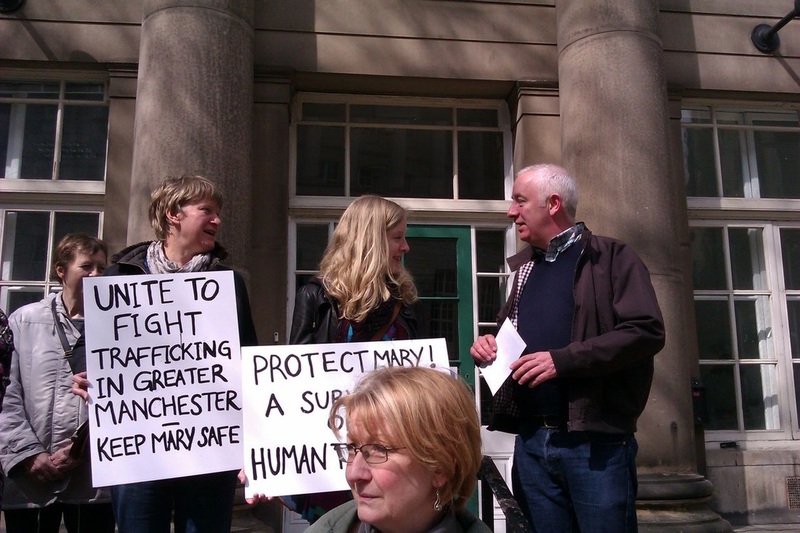 If you don't live in Manchester Central you can email your MP asking them to send a letter to Lucy Powell in support of Mary's case and any help that Lucy Powell is able to give. 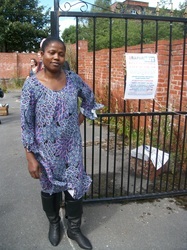 A template letter/email for that is available here, and MP's contact details can be found here. 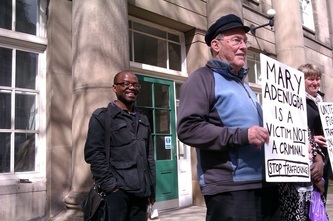 And to MPs - model MP letter here. Your support is vital. 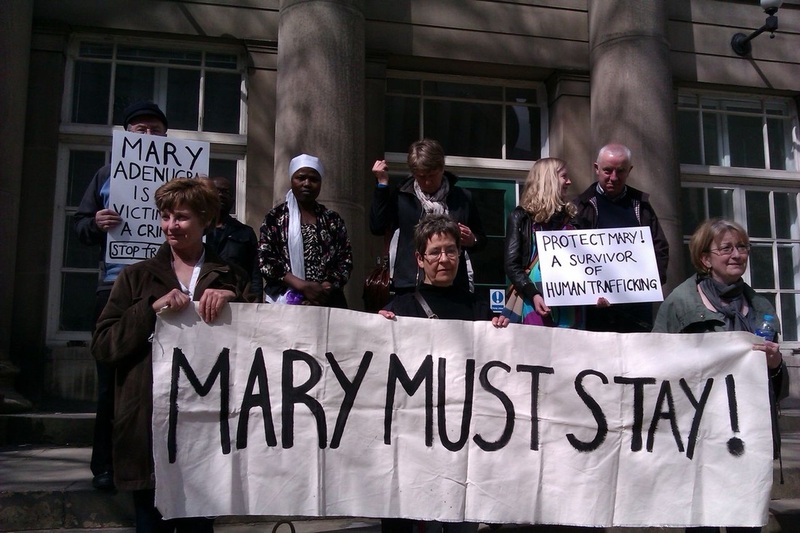 The smallest monthly donation can make a critical difference to how people like Mary can take action, with our support, to overcome the most challenging situations in which their human rights are threatened. 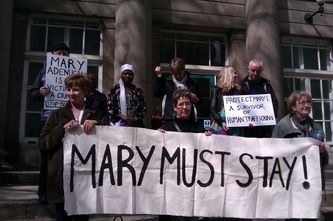 Without this support, Mary's campaign would not be possible. Make a donation by clicking the button below or set up a direct debit today - thank you! 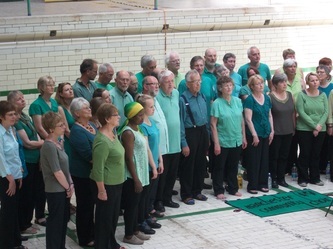 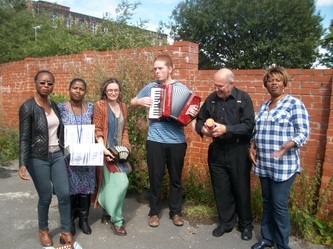 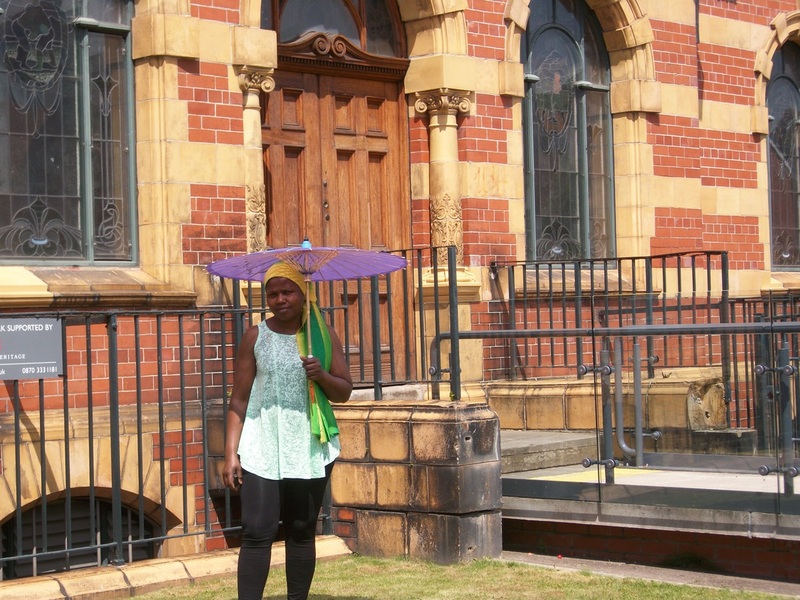 Mary joined her fellow choir members to sing in the historic Victoria Baths in Rusholme, Manchester. 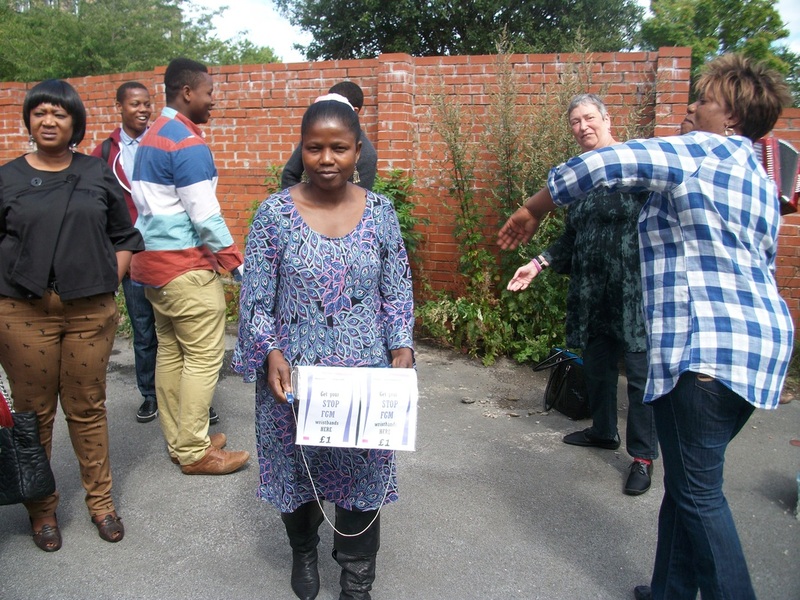 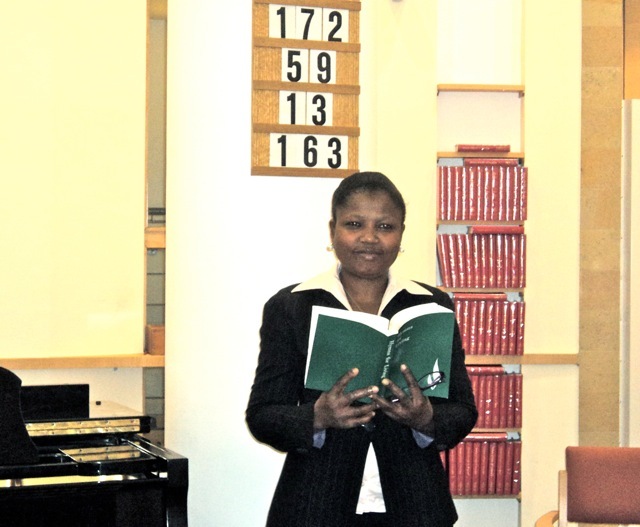 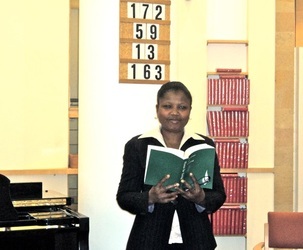 The choir sang 'Shona Malanga' in her honour. 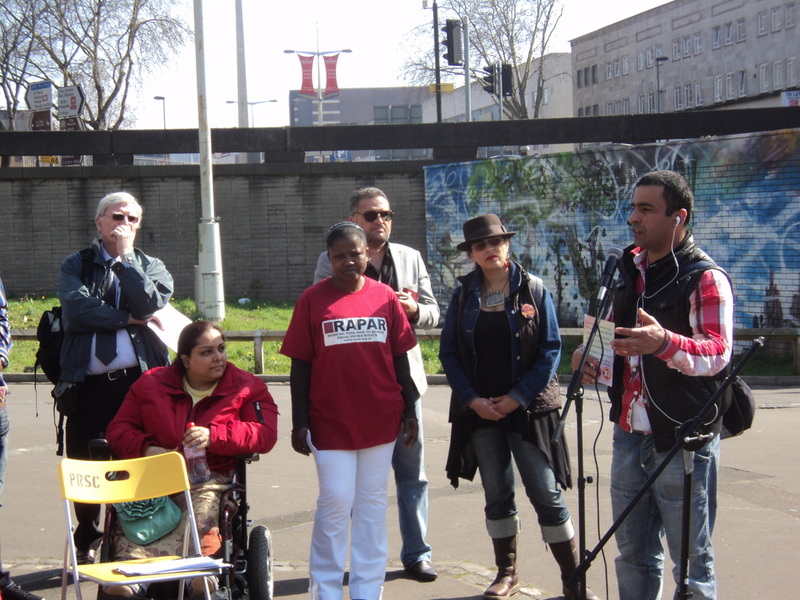 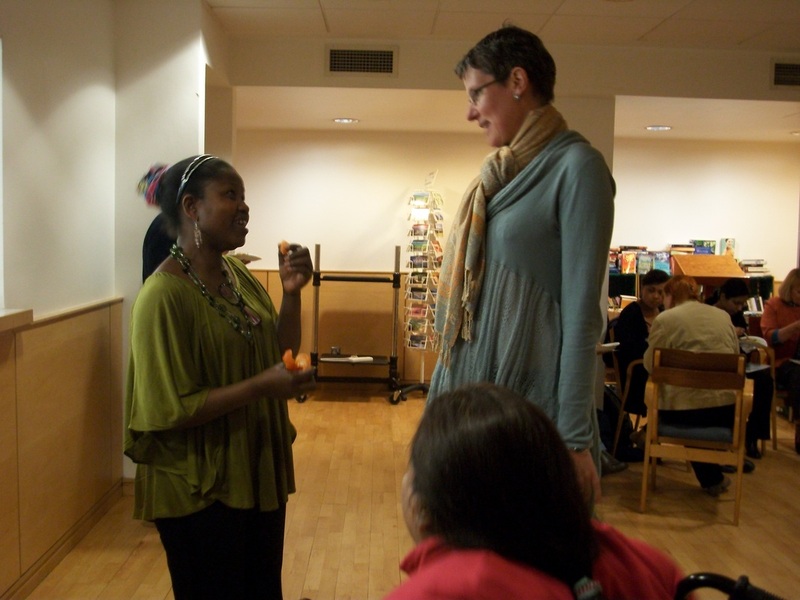 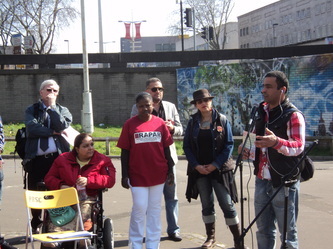 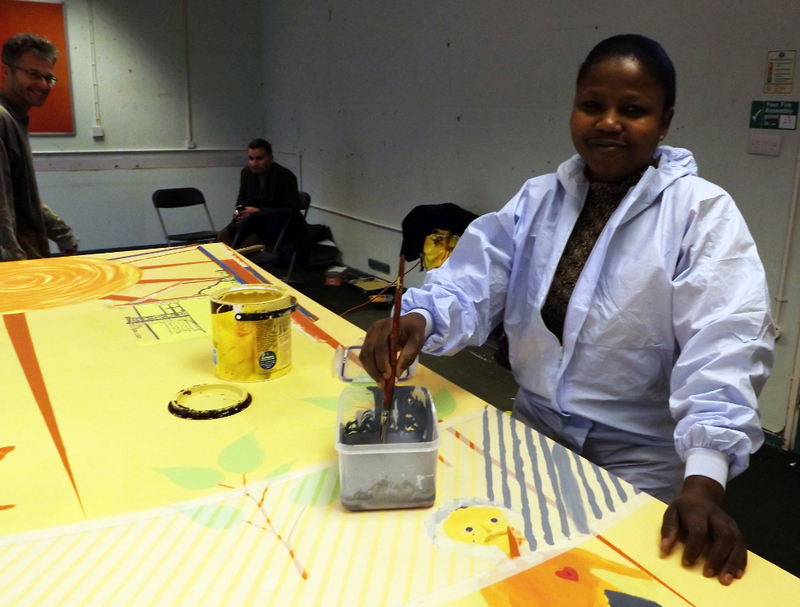 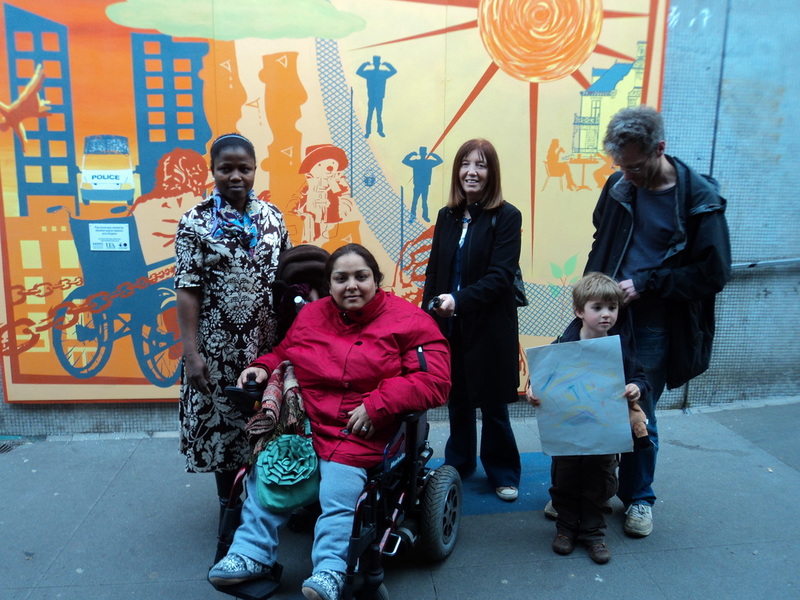 Mary and Manjeet feature in the film by Disability Murals, 'I'm an asylum seeker, it changes everything', surrounding their participation in the Bristol mural and their struggles in the asylum system. 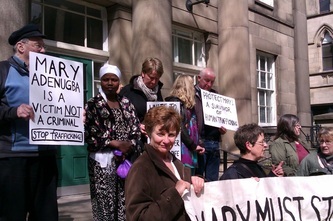 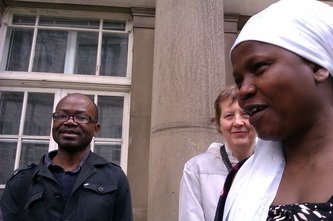 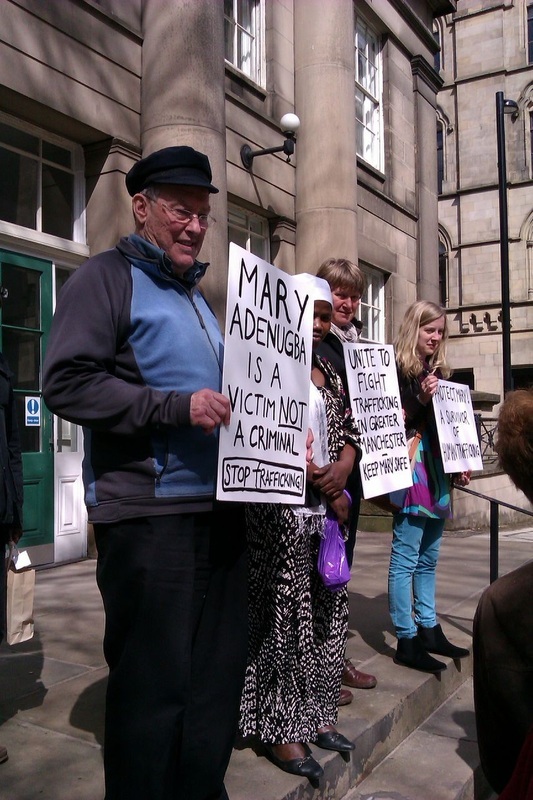 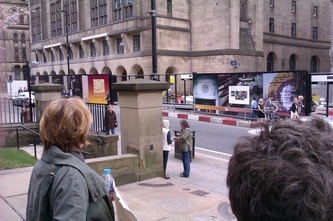 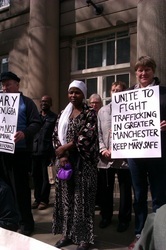 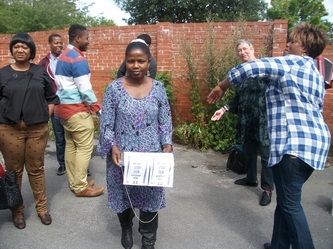 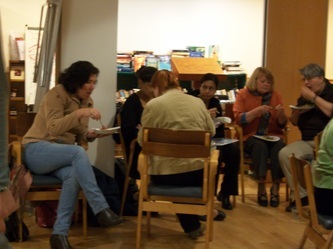 Manchester Quakers held a vigil for Mary outside the Friend's Meeting House. 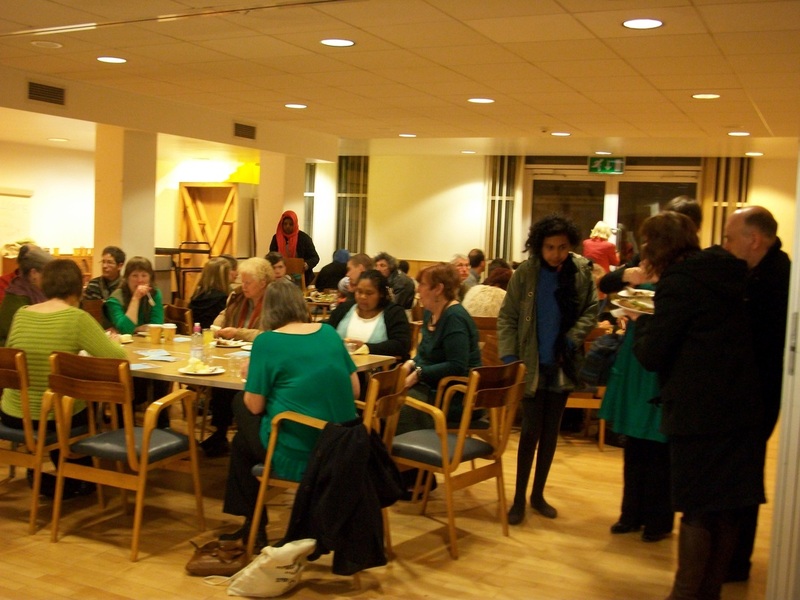 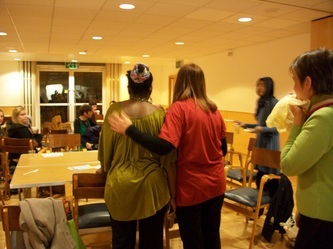 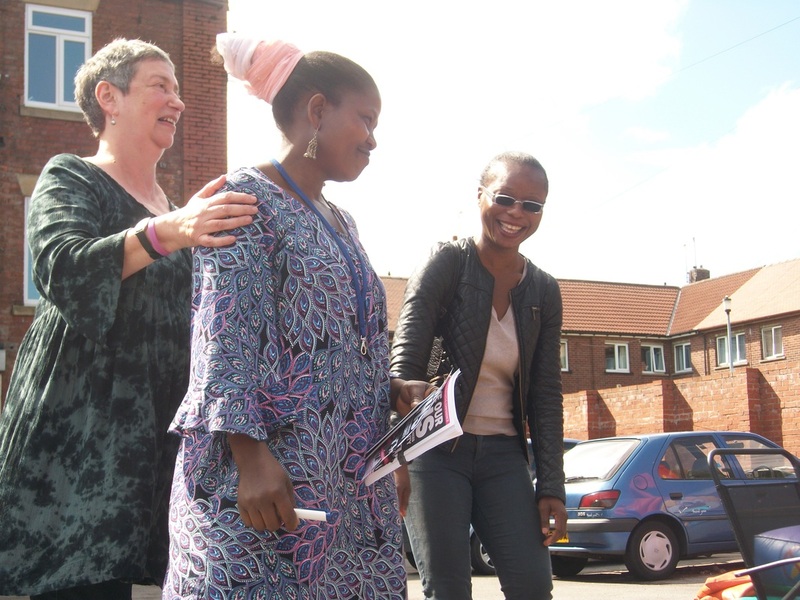 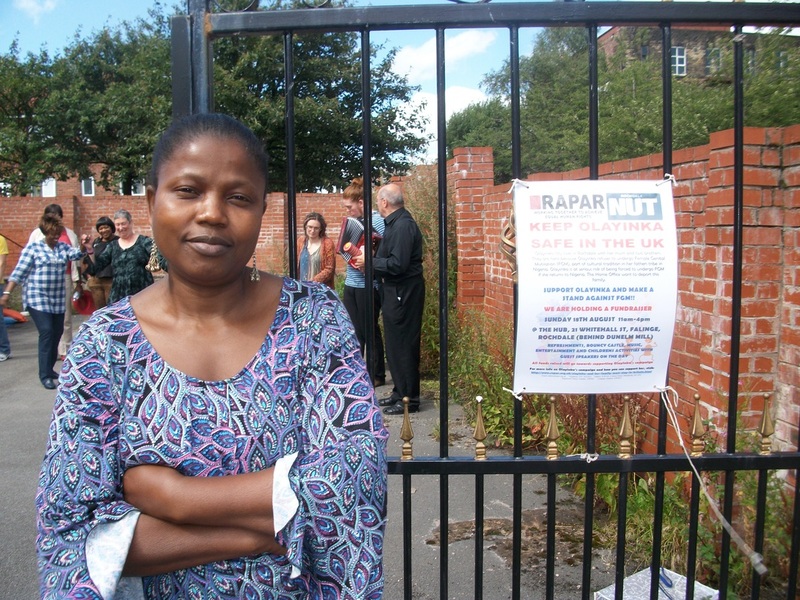 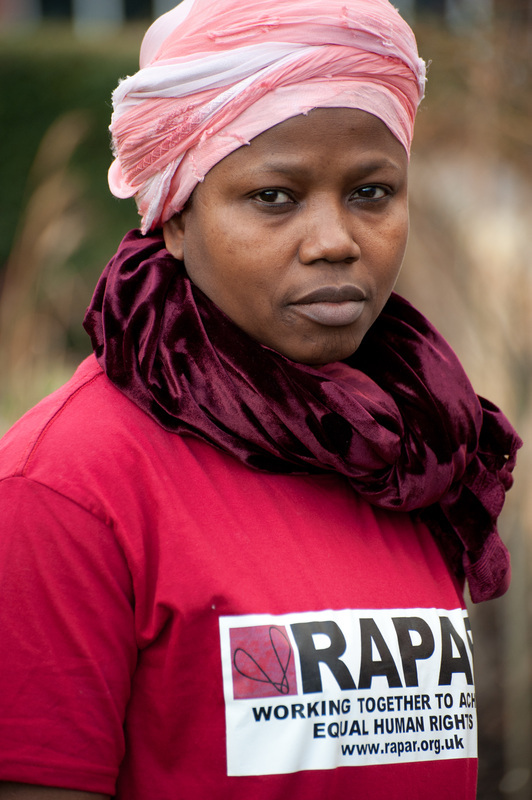 RAPAR is holding a public meeting on Friday, March 15th, to highlight the case of Mary Adenugba, who has been in the UK since 2004 and survived years of abuse and exploitation by traffickers before she finally escaped. 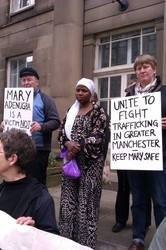 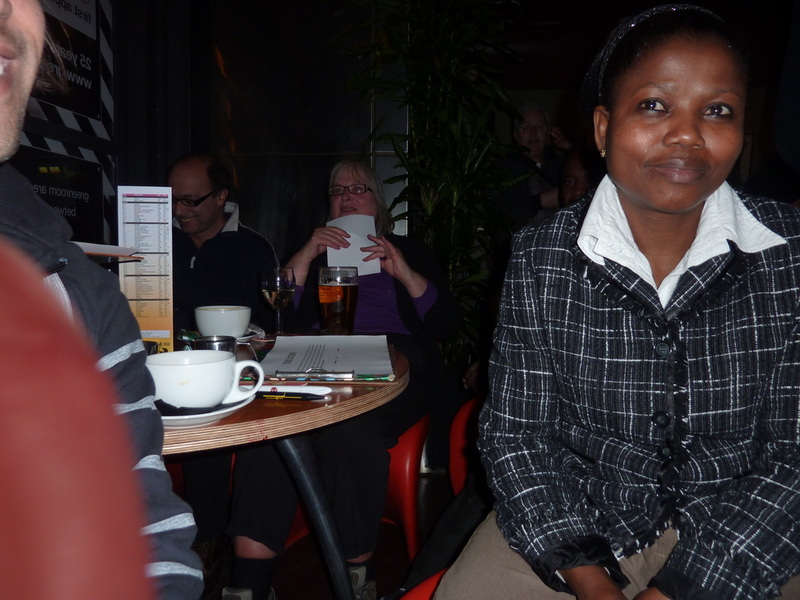 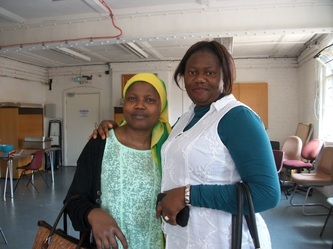 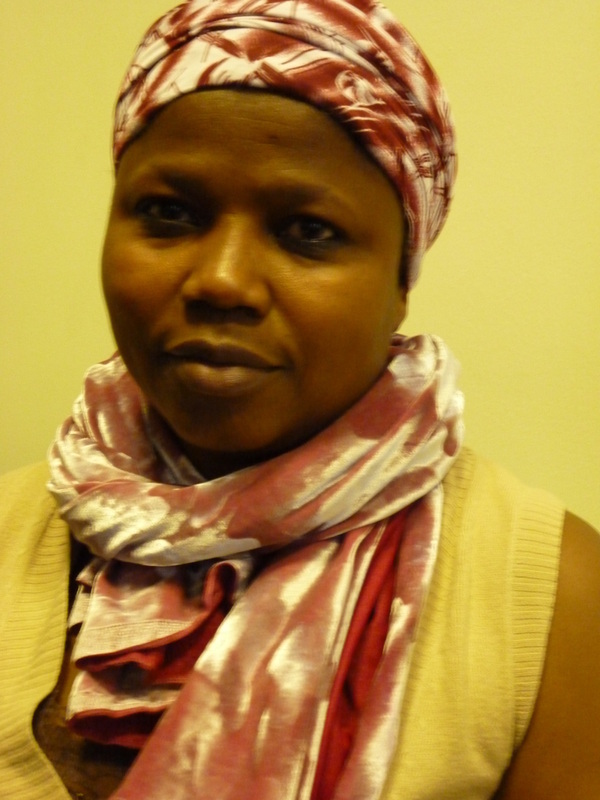 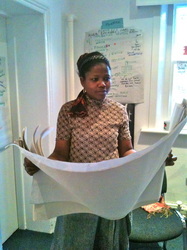 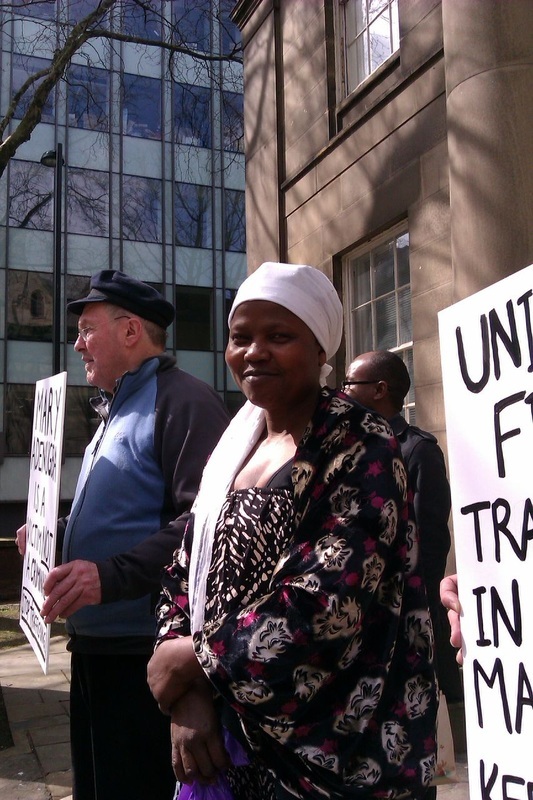 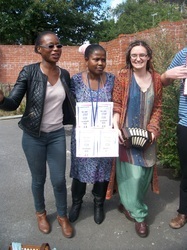 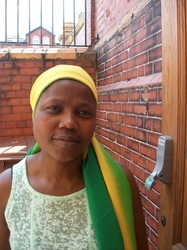 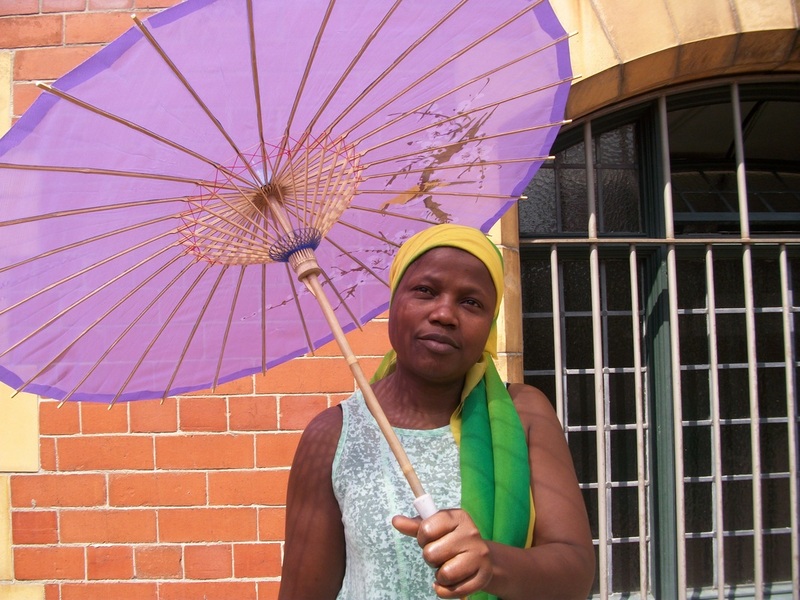 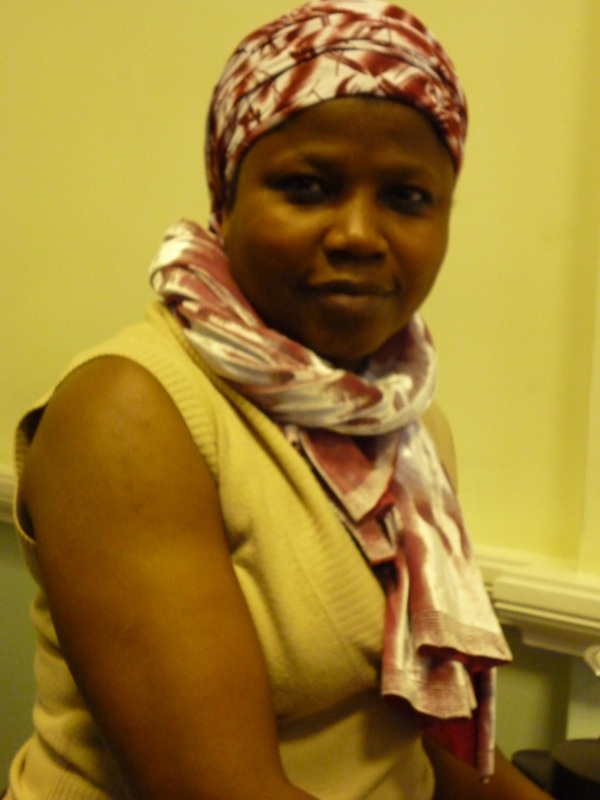 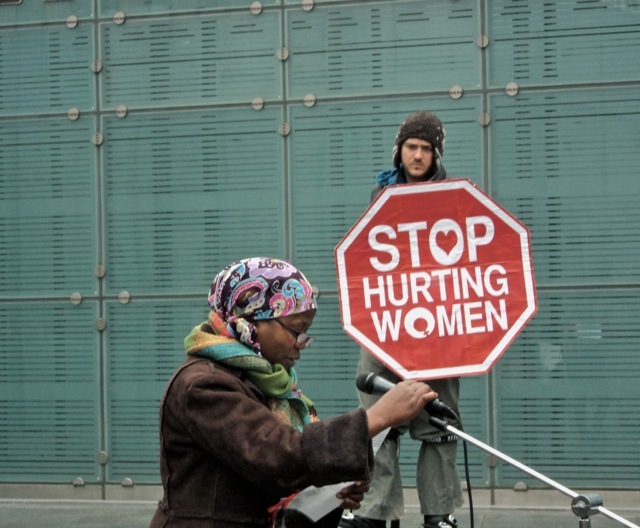 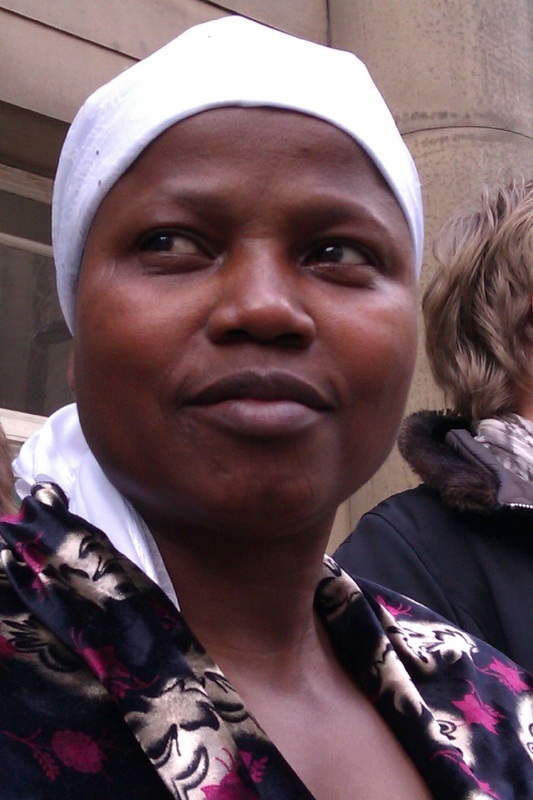 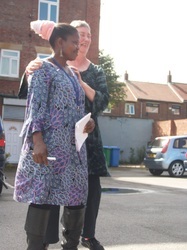 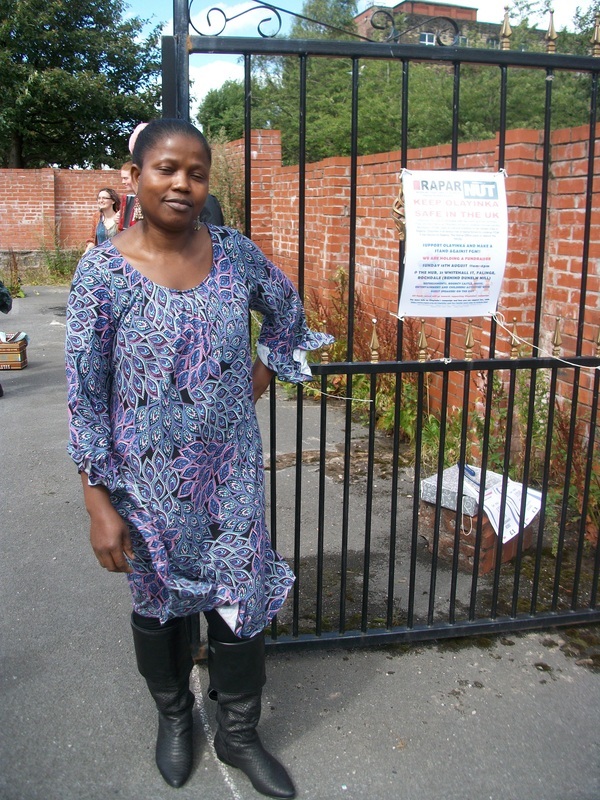 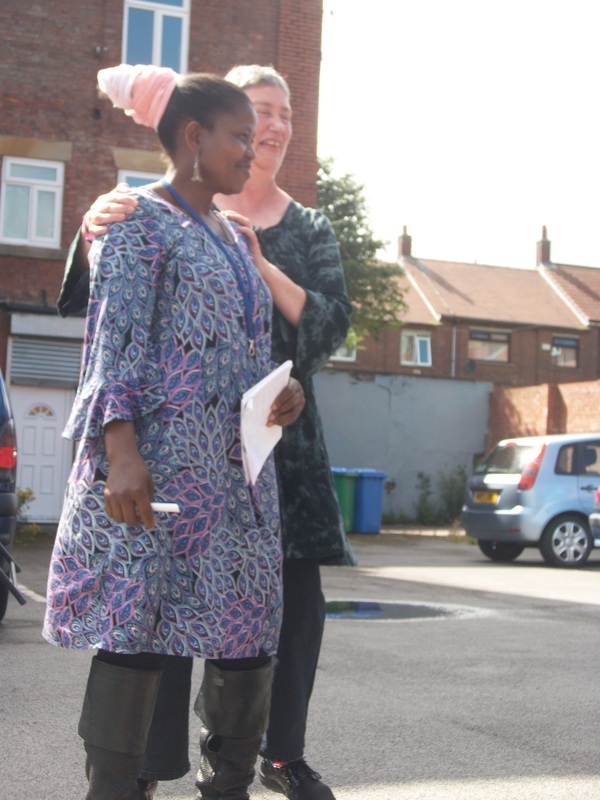 Mary, who is from Nigeria, was enslaved in the UK and forced to work as a prostitute in London and Manchester. 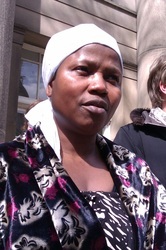 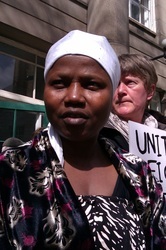 She is now in the process of seeking asylum and is appealing against the UK Border Agency's decision to refuse her case. 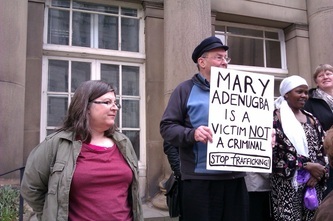 Astonishingly, this decision was made despite the fact that the UKBA has accepted that Mary was trafficked. Her story has also been confirmed by the Eaves' Poppy Project, which specialises in support, advocacy and housing for women who have been trafficked. 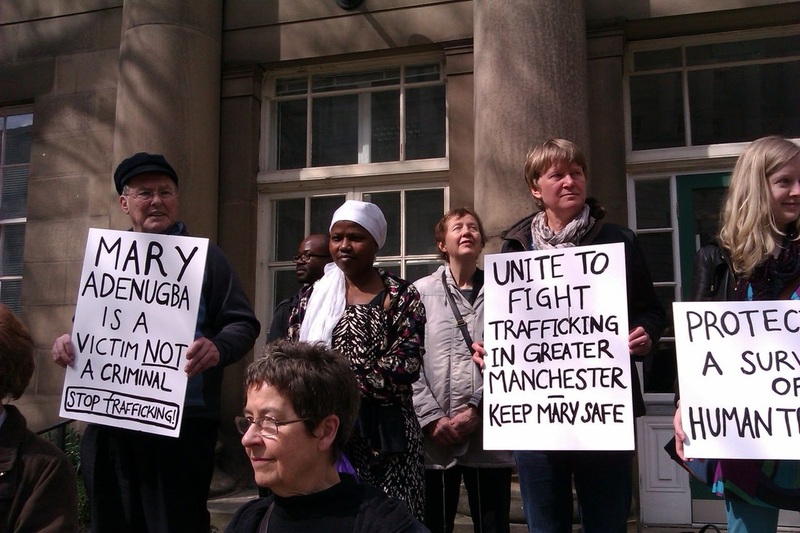 As well as focussing on Mary's campaign, the public meeting will look at the wider issue of people trafficked to the UK, often by large networks of organised crime. The meeting comes in the week when a major study entitled “It Happens Here” was published by the Centre for Social Justice. It adds that the response by Government ministers to trafficking, both into and within the UK, has been “clueless” and demands better education for police officers and social workers to help them identify people who have been trafficked and offer them the necessary support. Often, people who have been trafficked are prosecuted for immigration offences instead of being given the help they require. RAPAR'S own experience of Greater Manchester Police's response to trafficking complaints reflects the concerns expressed in the report. 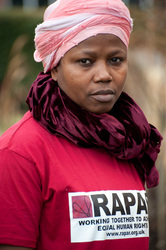 Dr Rhetta Moran, of RAPAR, said: “Mary has shown great courage in speaking about what has happened to her. 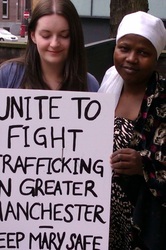 Many people who have been trafficked are too afraid to seek help. 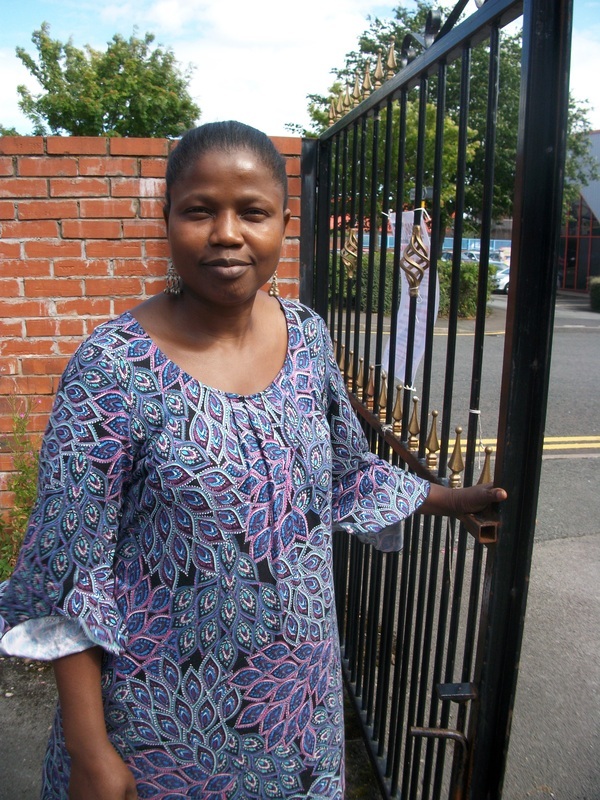 Mary has no contact with her remaining family in Nigeria who victimised her for becoming a Christian. If she was forced to return, she would have no access to support or medical services and she is likely to be targeted by traffickers again. 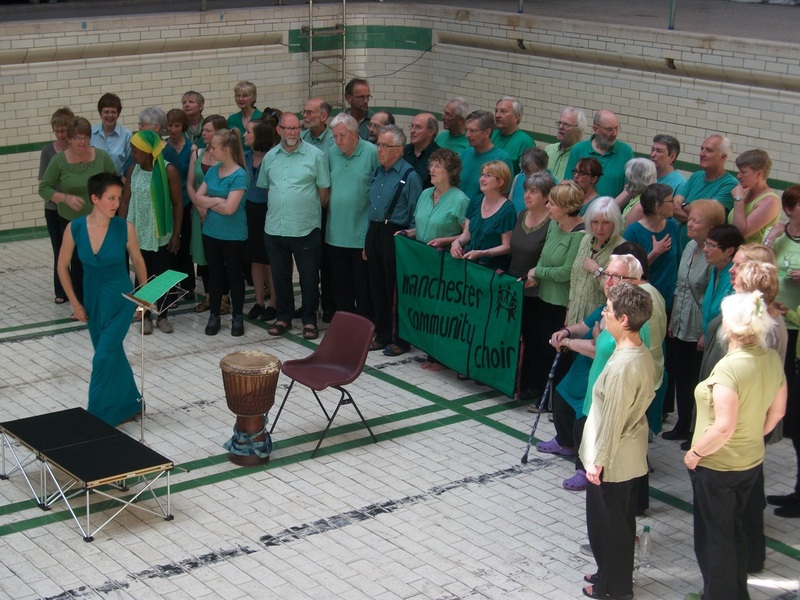 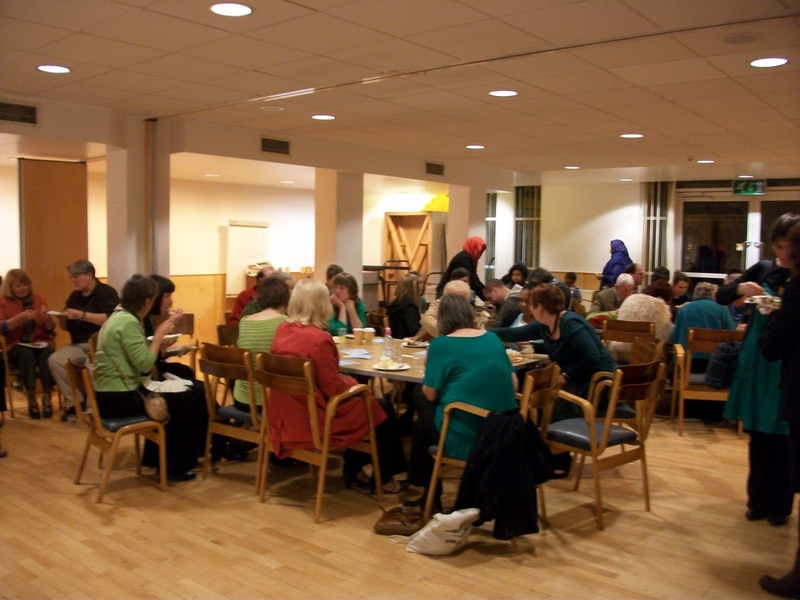 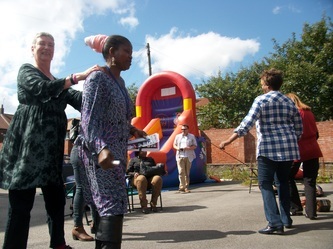 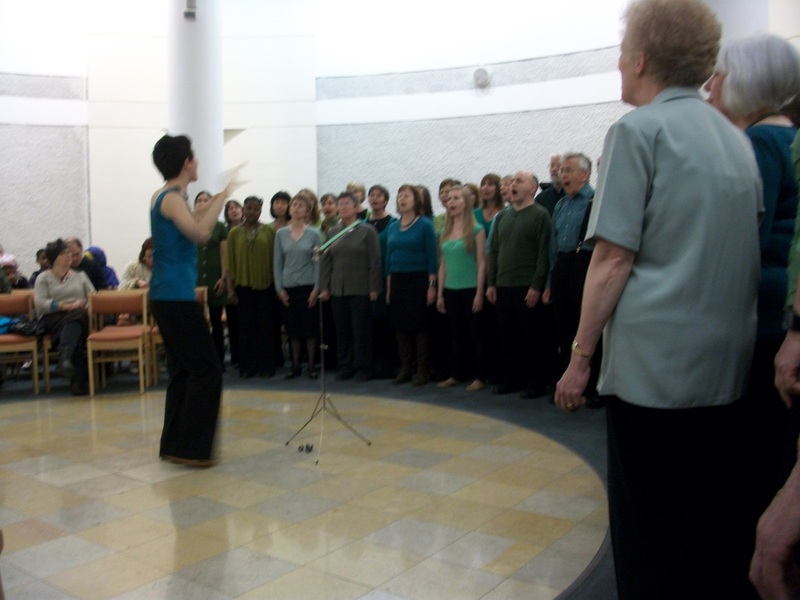 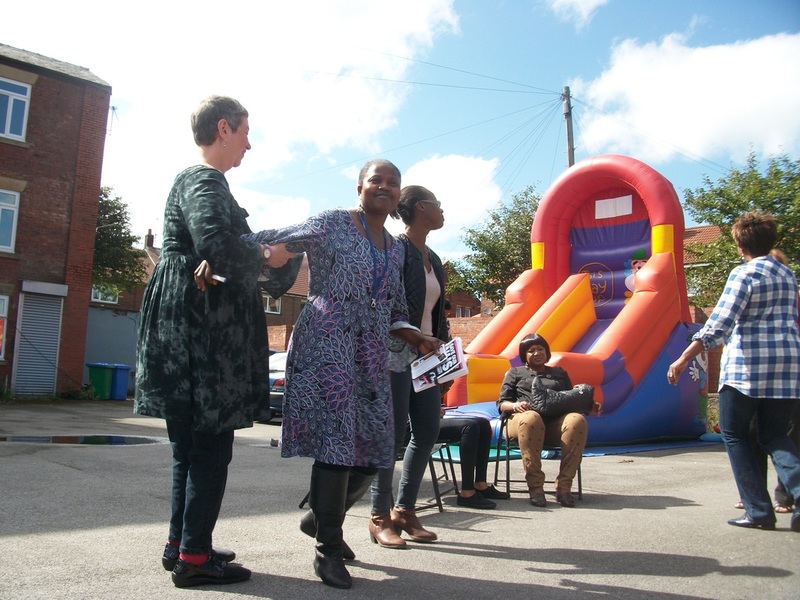 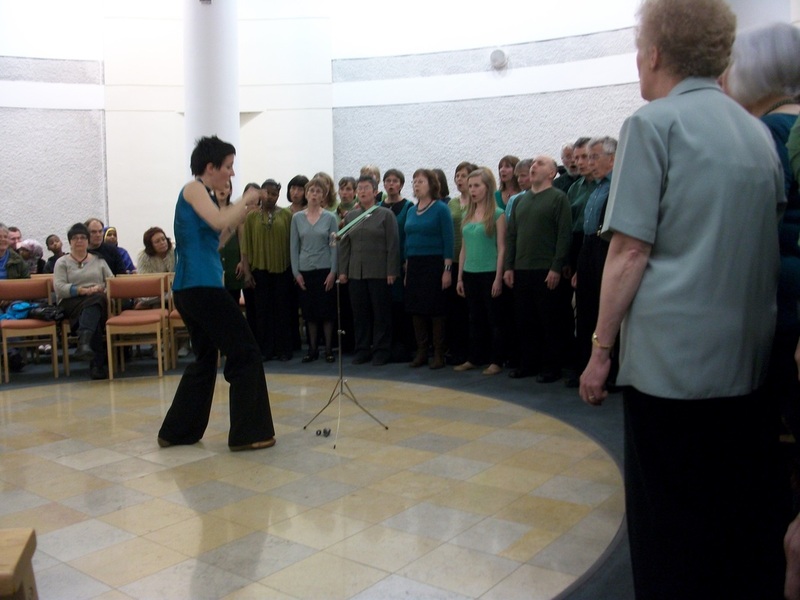 Friends and supporters include the Rev Jane Barraclough, minister at Cross Street Unitarian Chapel, where Mary is a member of the congregation, the community branch of the union Unite, and Manchester Community Choir. 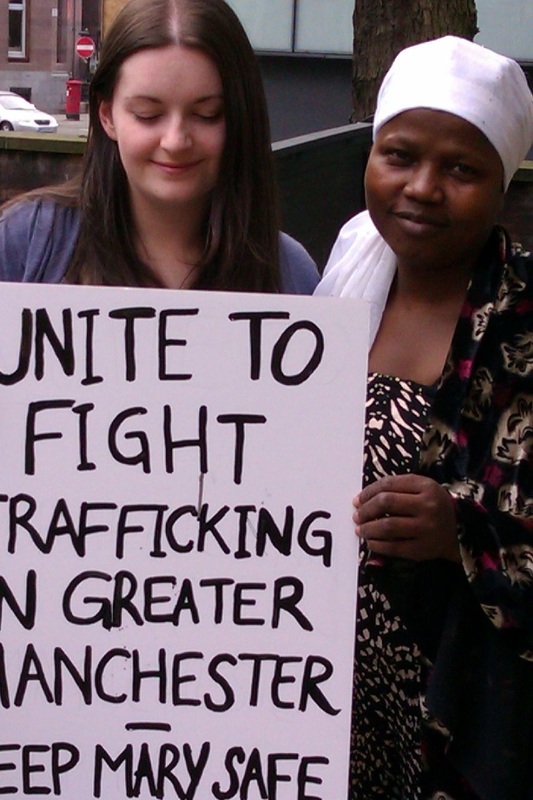 Figures show around 800,000 people are trafficked across international borders each year for sexual exploitation, begging and forced labour. Nigeria has a major problem with human trafficking, both internal and across international borders, including Europe. 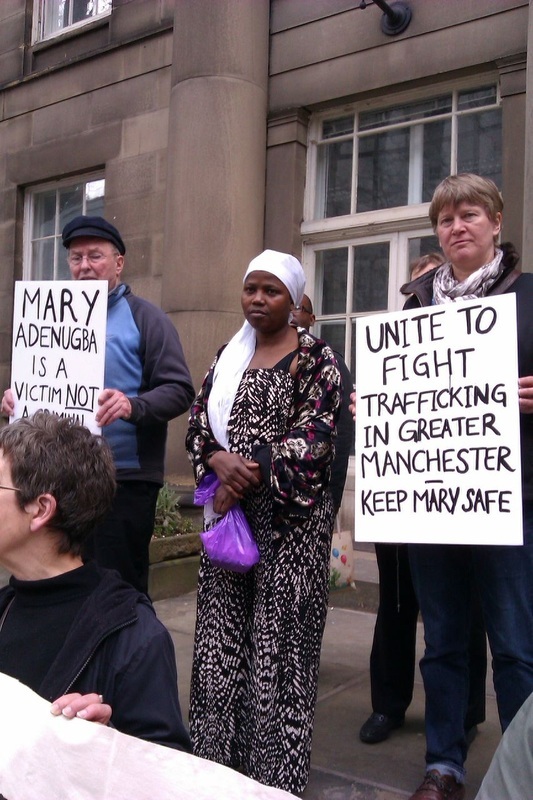 Language barriers, fear of their captors, and the frequency with which they are moved around make it difficult to track down people who have been trafficked - and also the perpetrators of this extreme form of exploitation. 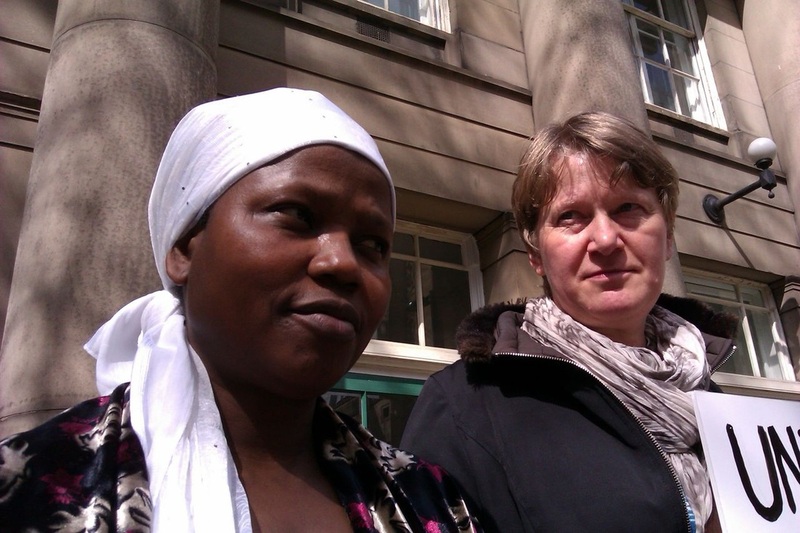 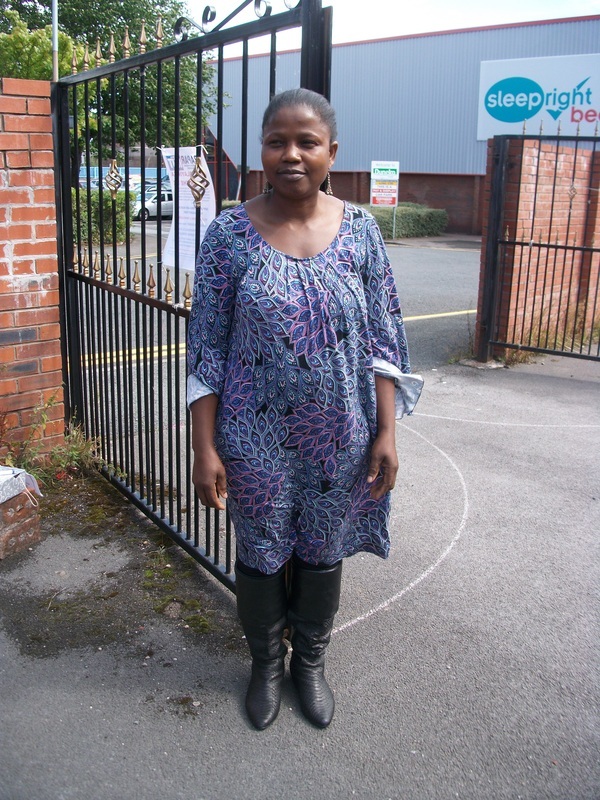 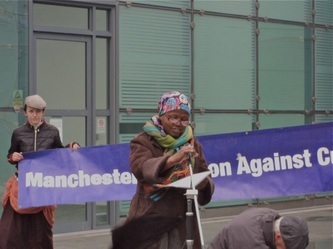 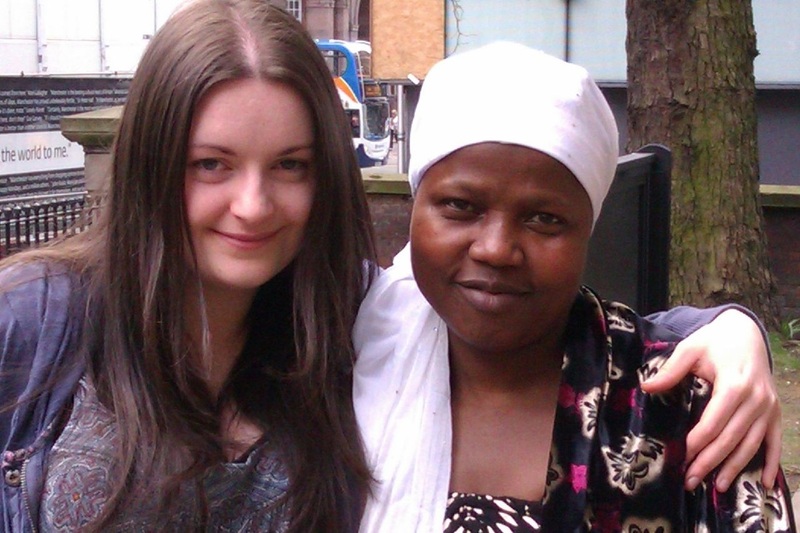 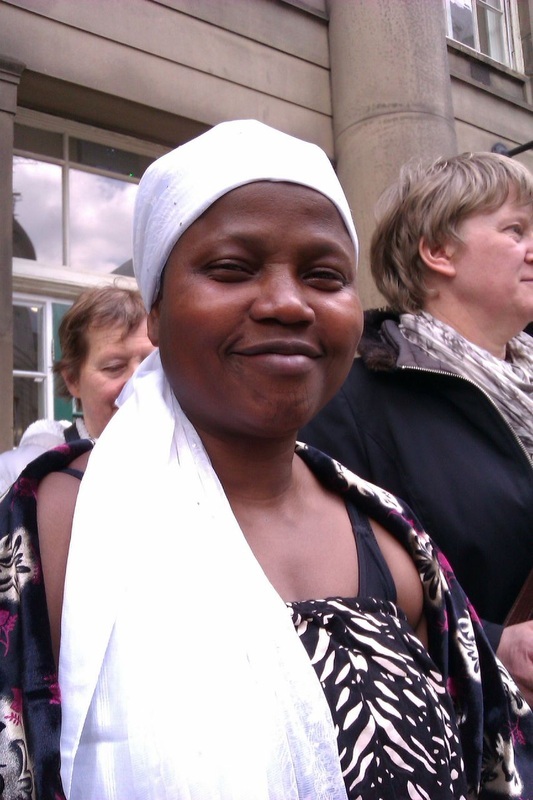 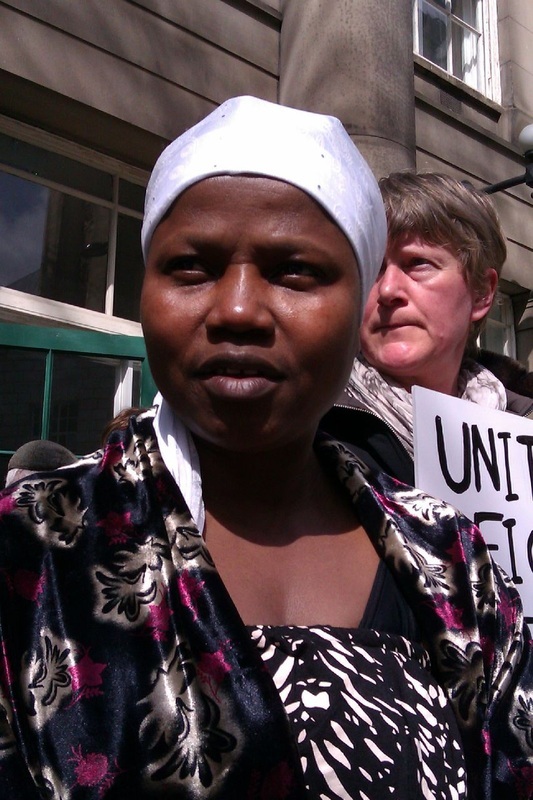 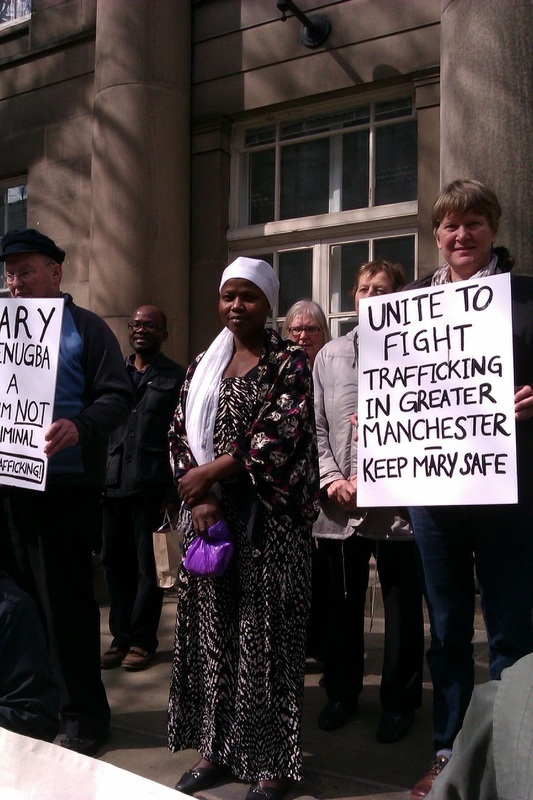 Mary's appeal hearing will be held on Friday, 10th May, 10 am at the Asylum and Immigration Tribunal Offices in Moseley Street, Manchester. 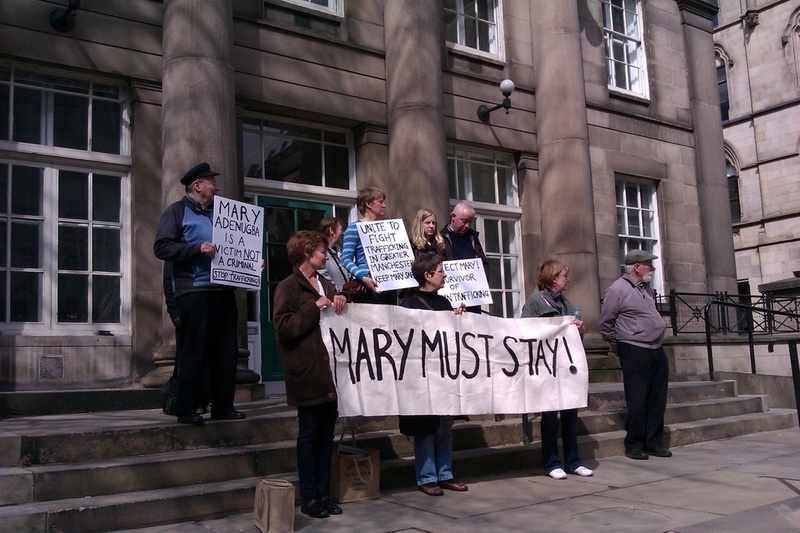 For updates on Mary's campaign check this page. 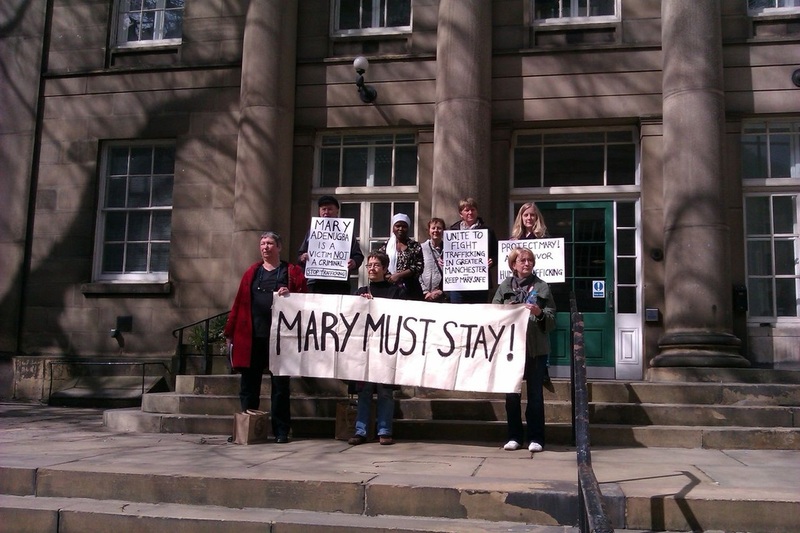 Mary's asylum tribunal has been set for Monday 14th January. 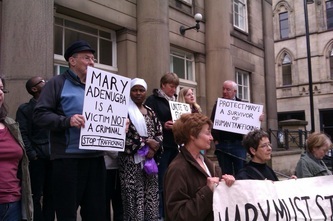 A strong presence of supporters in the court would be very helpful - we will update nearer the time with details. In the meantime the call for letters of support is ongoing - see post just below. 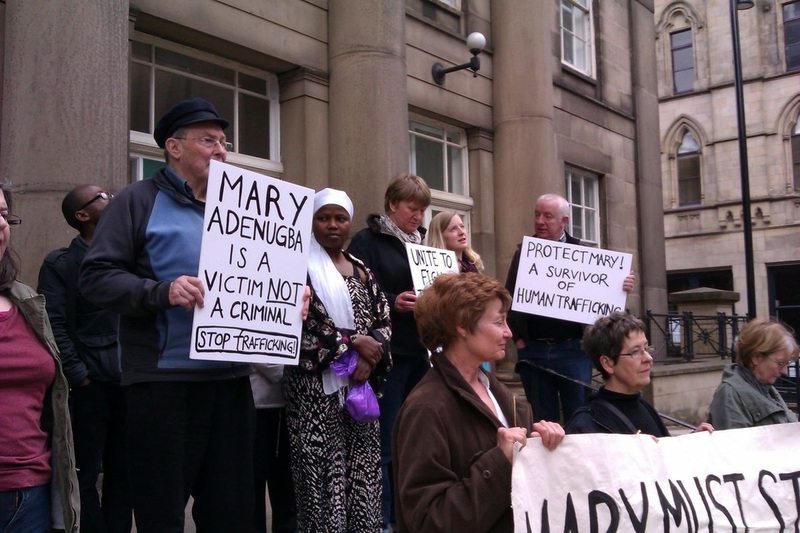 Many thanks to those who have sent letters - Mary's solicitor has specifically asked for these to submit as part of Mary's case so the more the better! 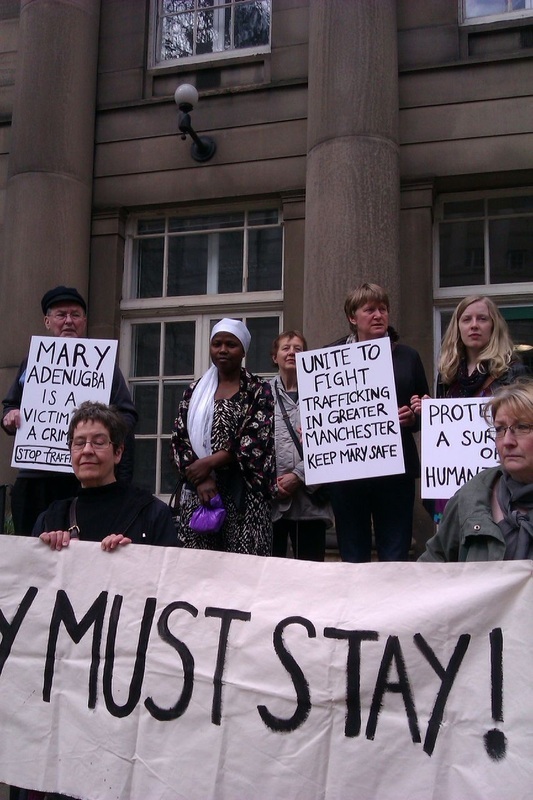 Disappointingly - and arguably contrary to the recommendations of the EU Protocol Against the Trafficking of People - Mary's asylum claim to remain safely in the UK has been refused again. 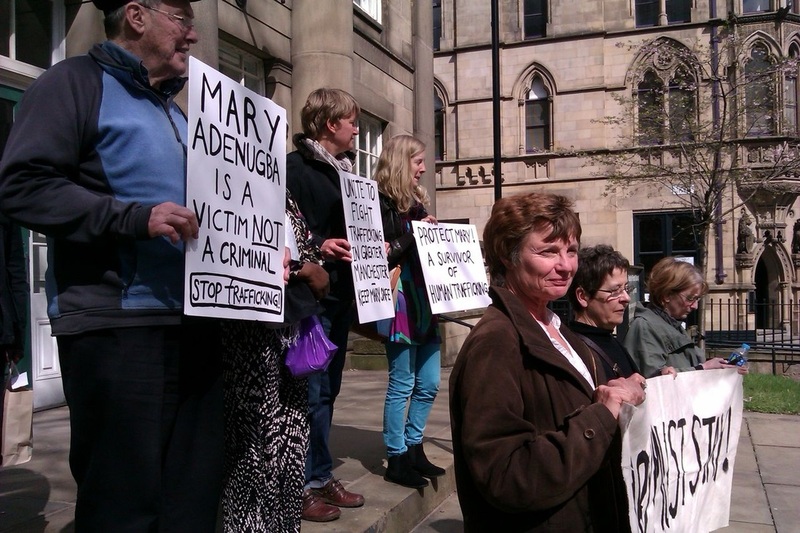 However, she is appealing and something that supporters can do to help is send letters of support to be submitted as part of her appeal. Letters can be as long or short as you wish; just a clear statement of why you support Mary's right to refuge in the UK. 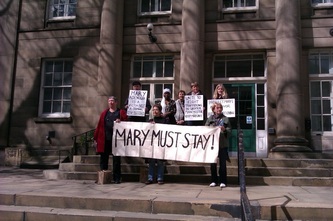 If you know or have met Mary then say so in the letter. 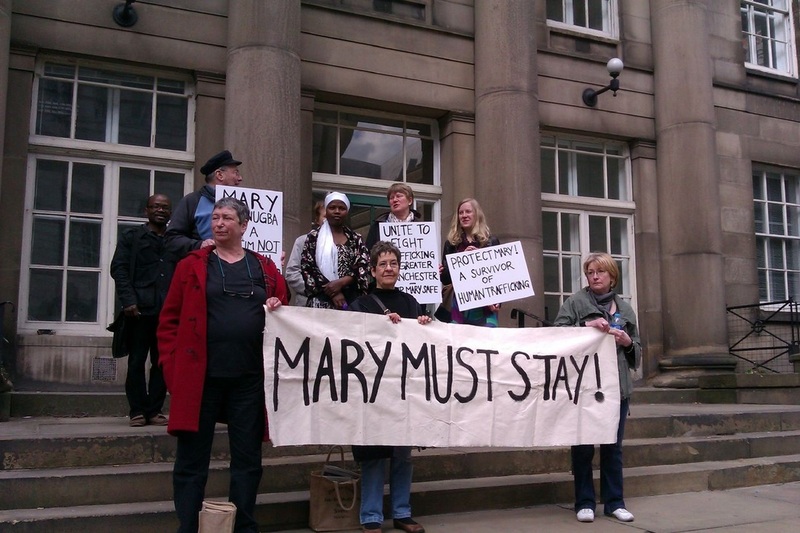 Also, please include Mary's Home Office reference number A1354068/2 in the letter, as well as your name and address, and your signature at the bottom. 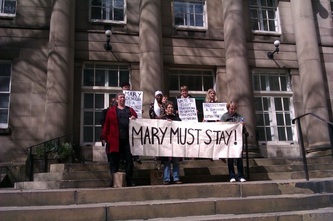 Personal and unique letters would be the most powerful for Mary's case, but an example is available showing key points of Mary's case if desired - click here for Word document. 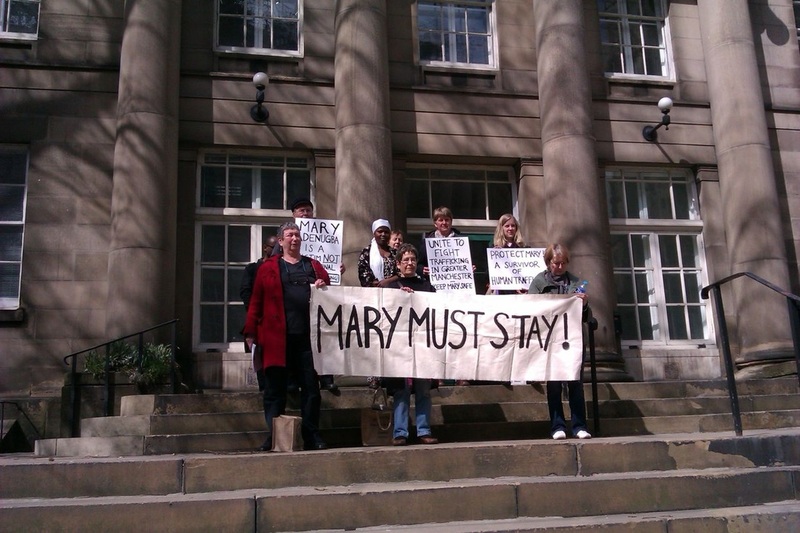 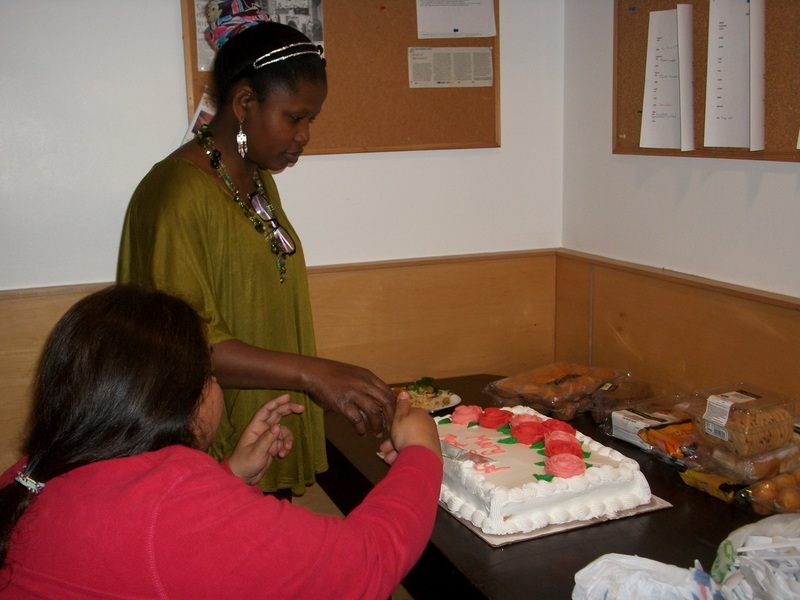 04/09/12 - Mary's claim for Judicial Review was accepted in August. 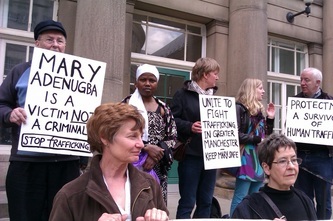 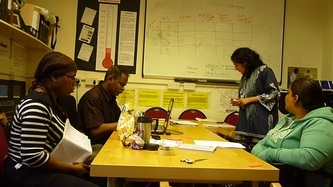 The judge stated that the UKBA had not dealt with the central issue of trafficking. 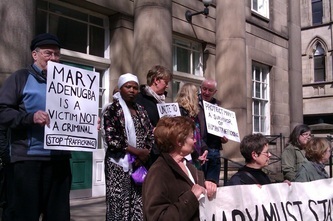 In response, the UKBA have requested to look at Mary's case again. 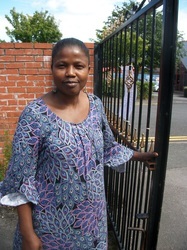 Mary has a well-founded fear that if she is returned to Nigeria, she will be targeted by traffickers again. 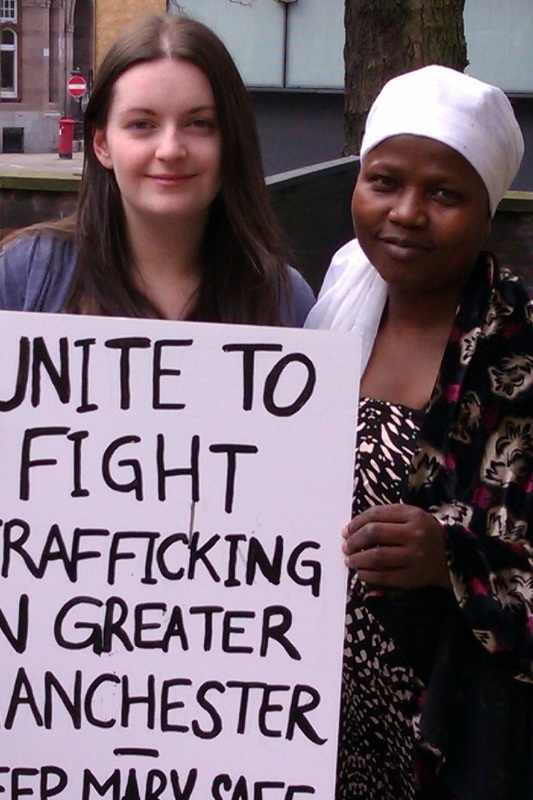 The EU protocol on trafficking also strongly states that trafficked people ought always to be considered victims, and are in need of considerable support. 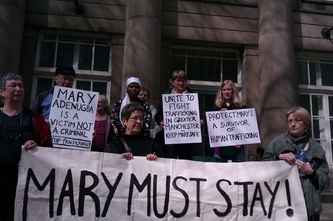 If Mary is returned to Nigeria, she WILL NOT receive this support. 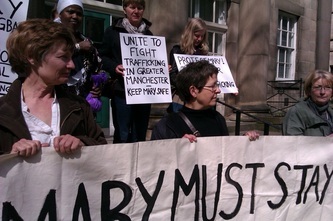 Sign the petition here or email the Home Secretary Theresa May: mayt@parliament.uk. 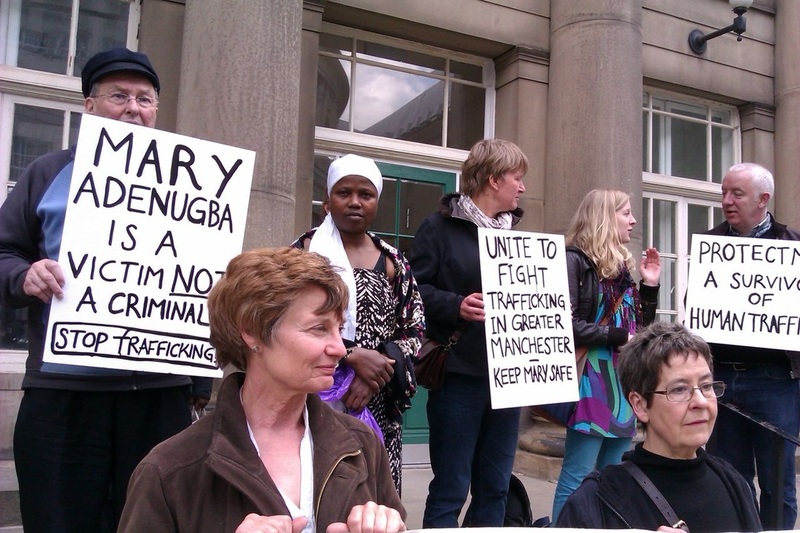 Lucy Powell MP: contact@lucypowell.org.uk and/or the Immigration Minister Damian Green: damian.green.mp@parliament.uk. 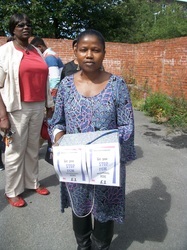 You can download a model letter here. 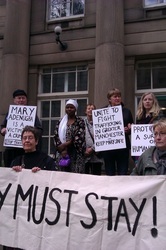 "Thank you for your continued support and solidarity. I can't thank you enough. 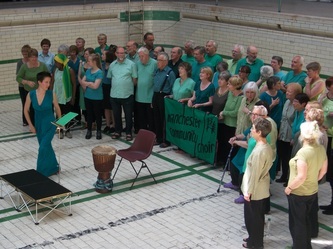 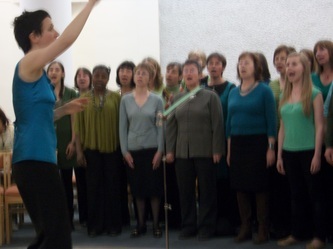 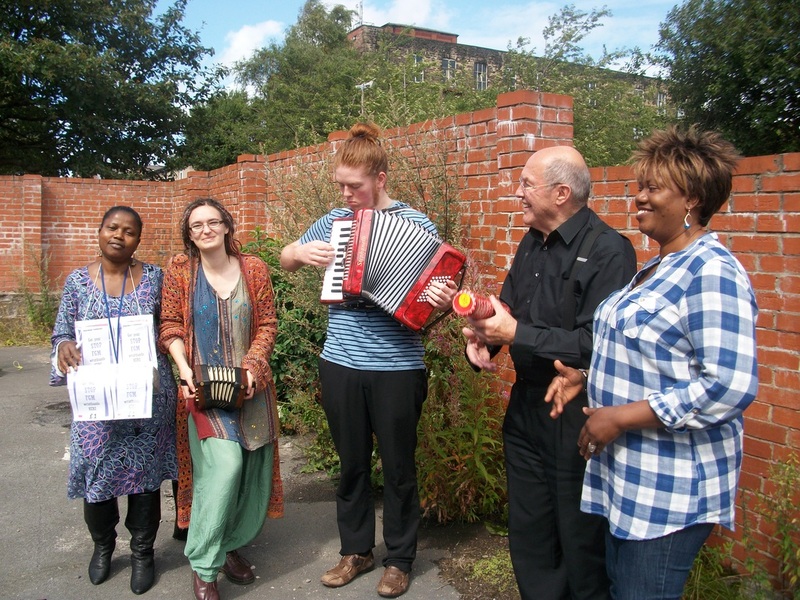 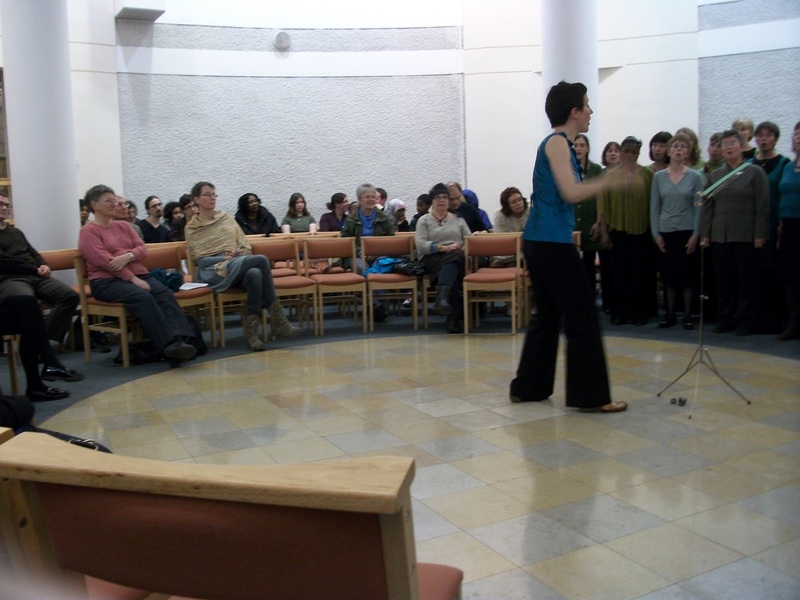 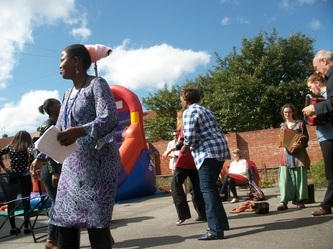 -- Mary"
A BIG thank you to everyone who attended the launch, to Cross Street Chapel for allowing us to use their venue and to The Manchester Community Choir for their brilliant performance. Here are photos from the launch. 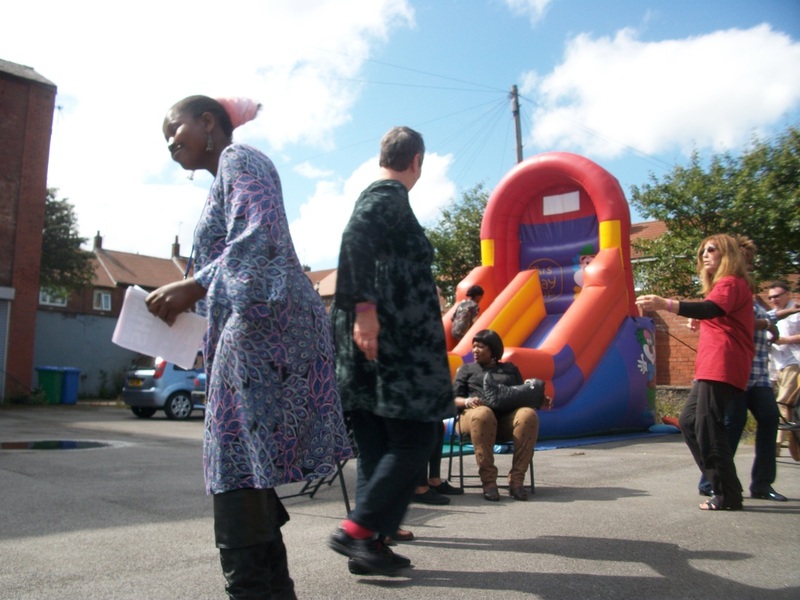 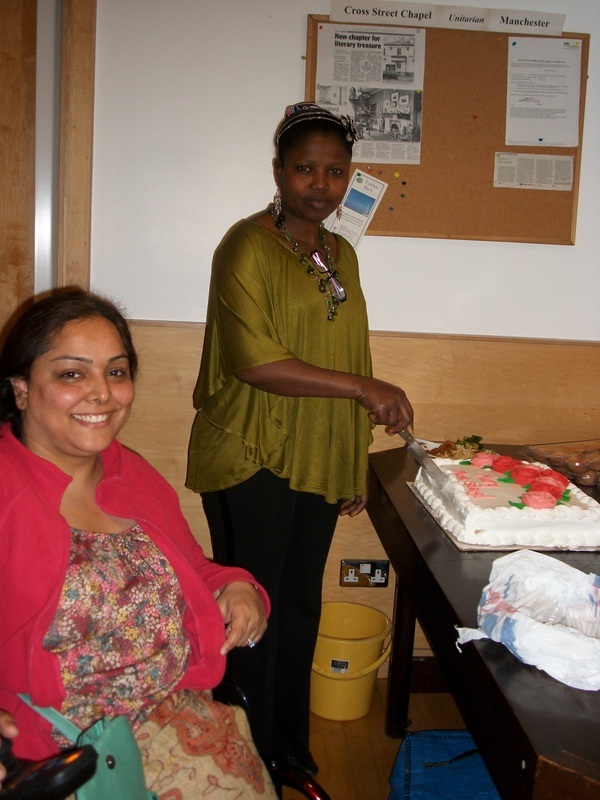 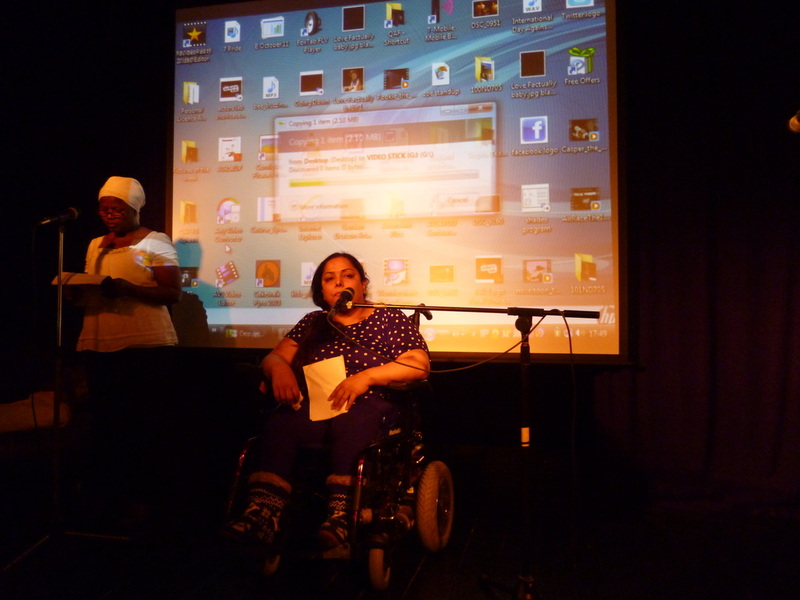 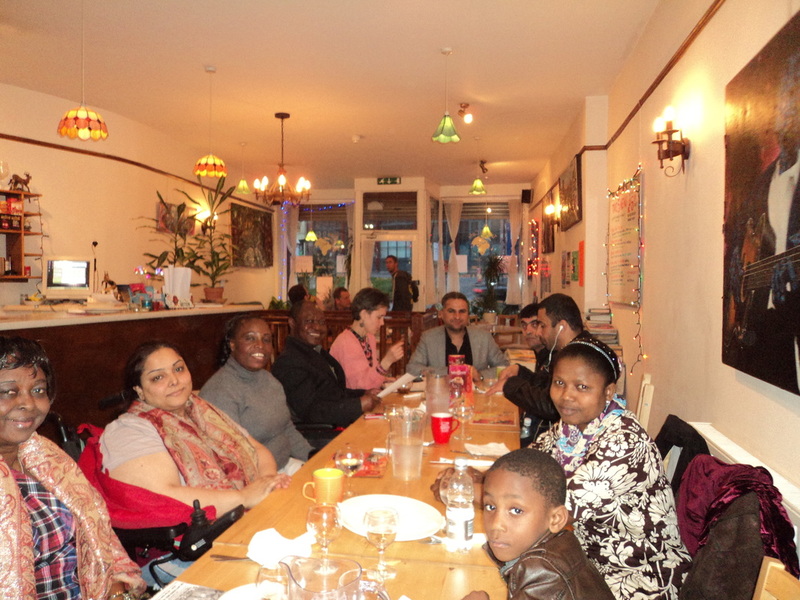 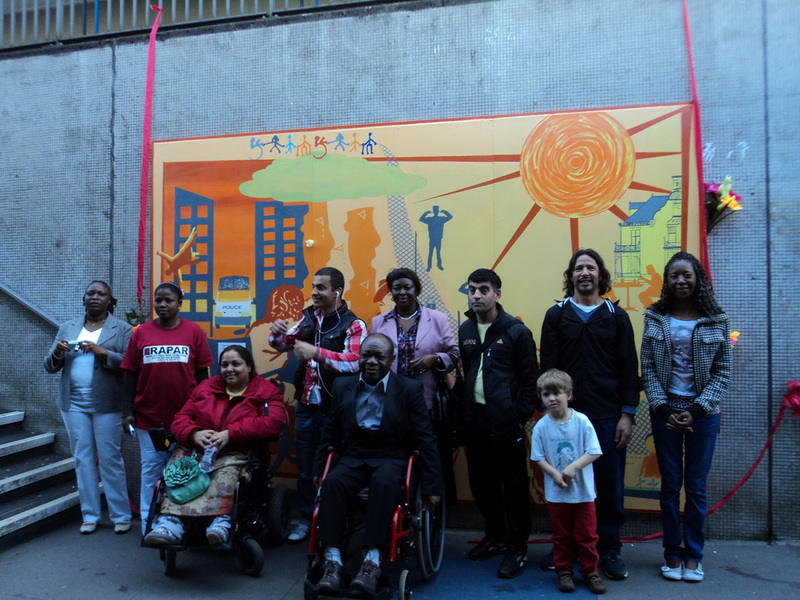 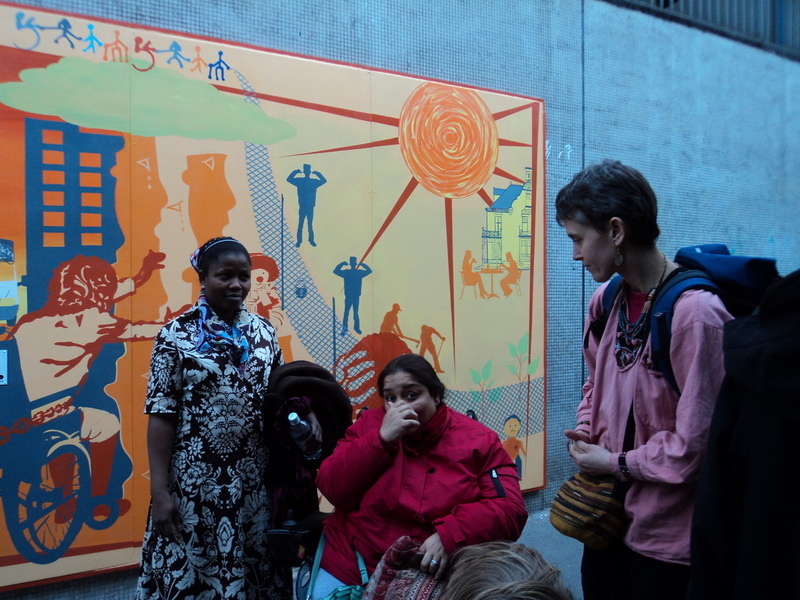 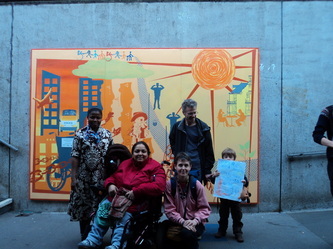 Mary and fellow RAPAR member, Manjeet Kaur, took part in Bristol's Disability Murals at the Bear Pit. 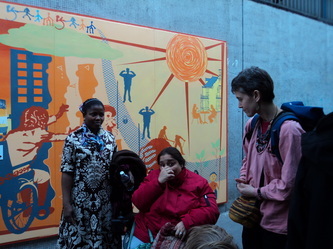 More information about Disability Murals can be found here.